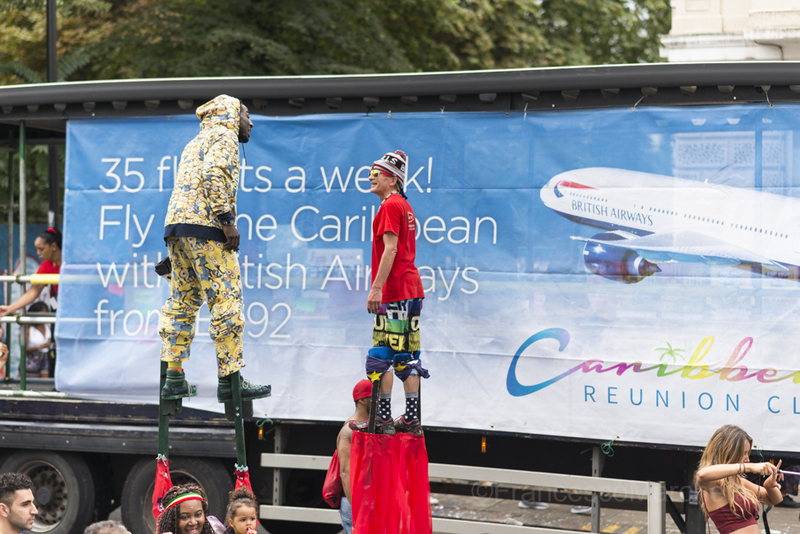 Bye bye and see you again next year! 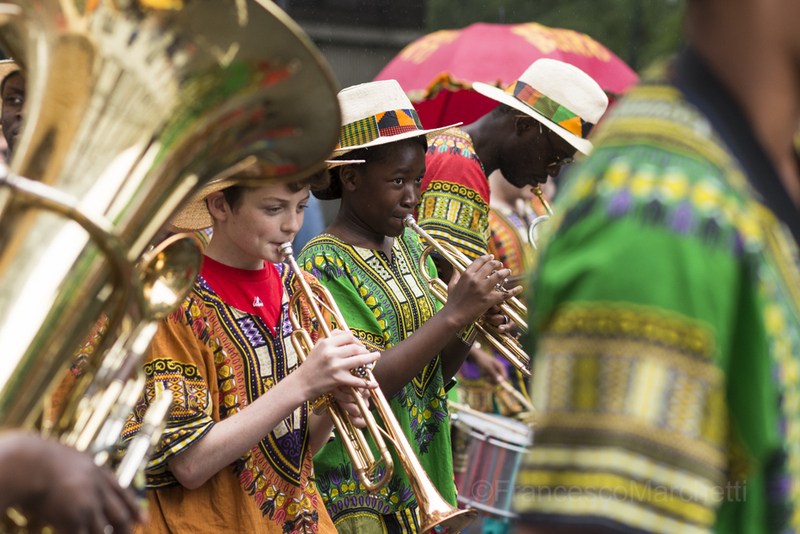 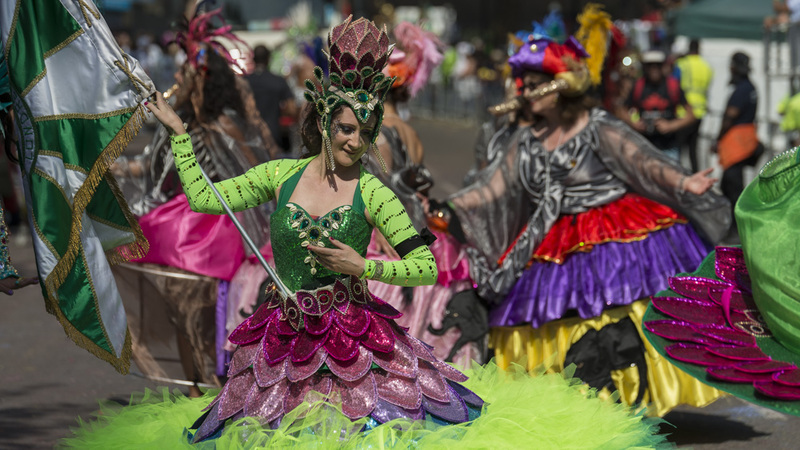 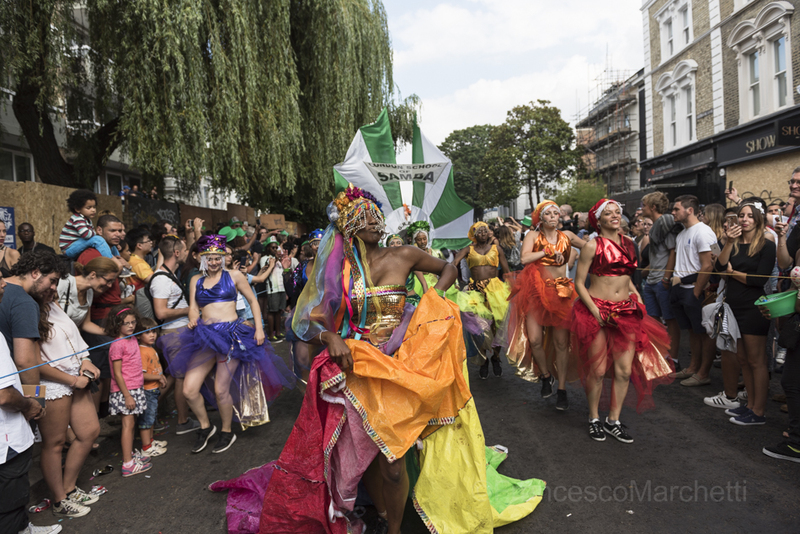 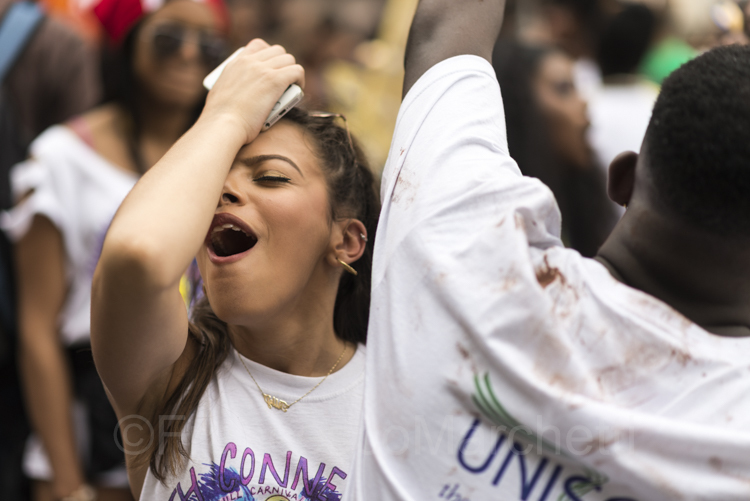 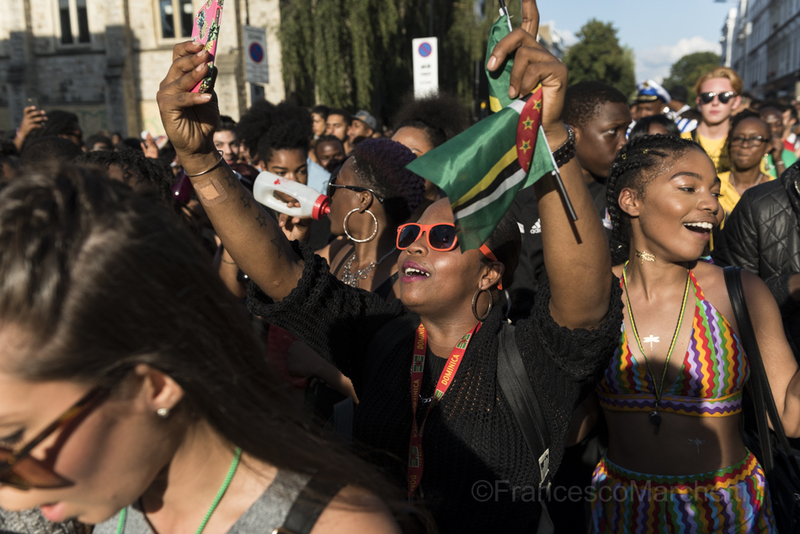 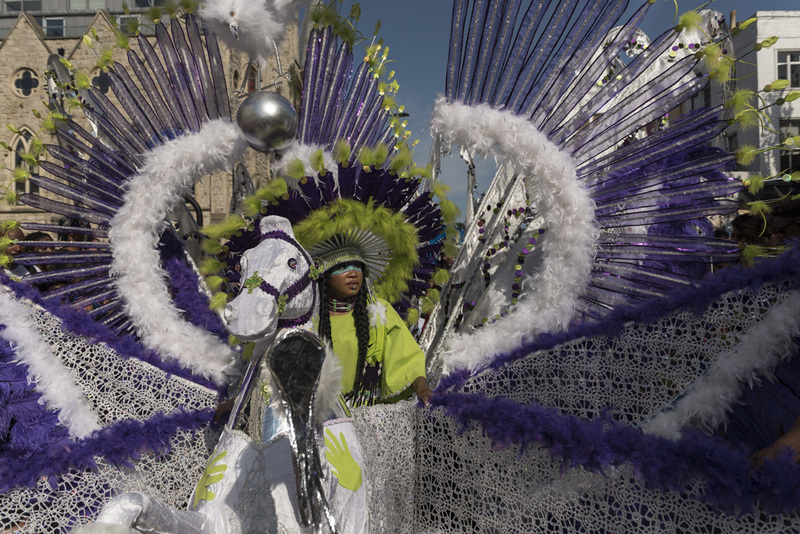 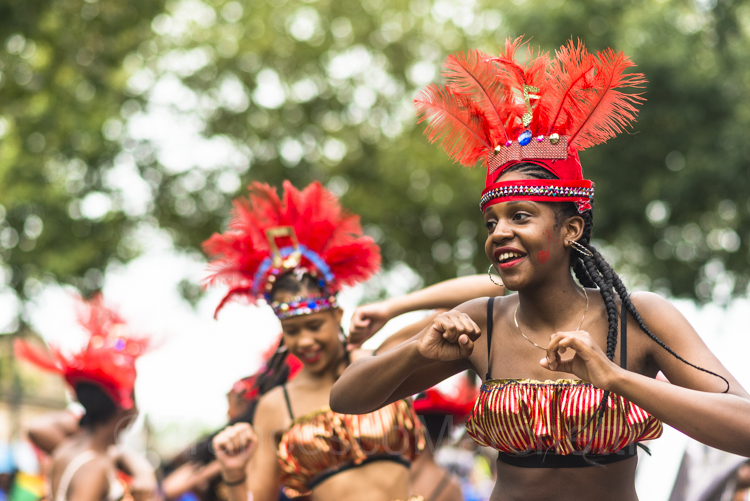 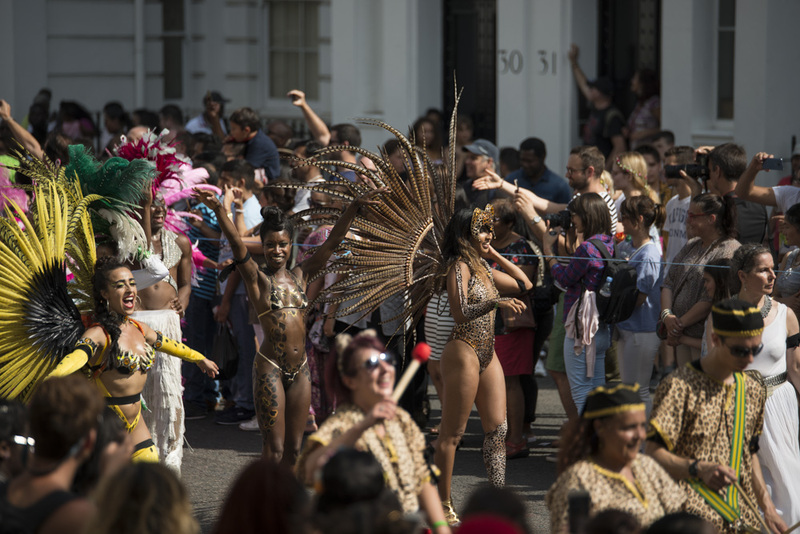 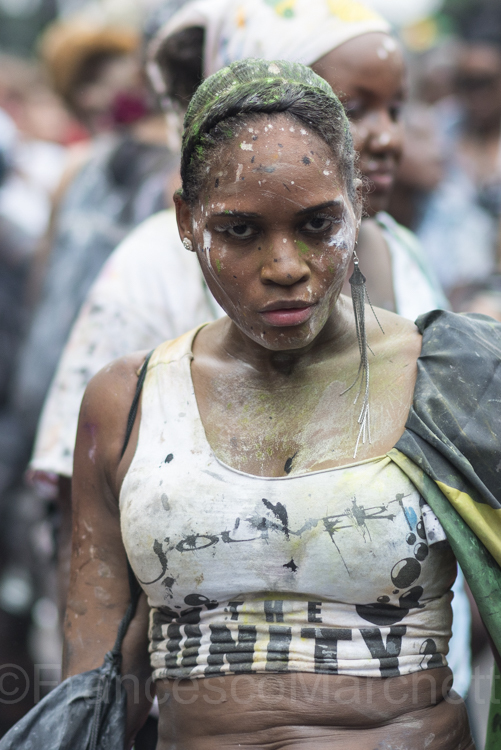 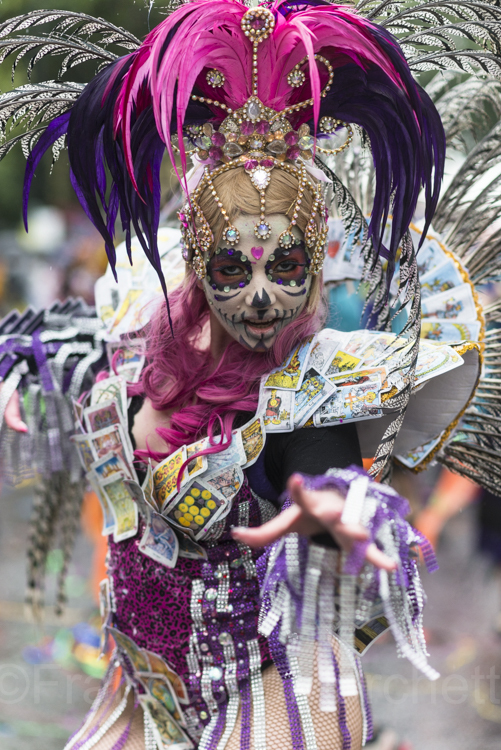 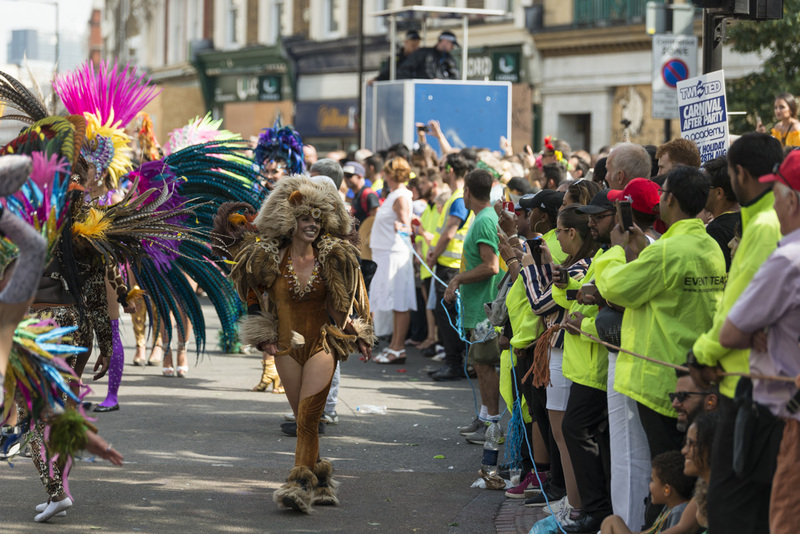 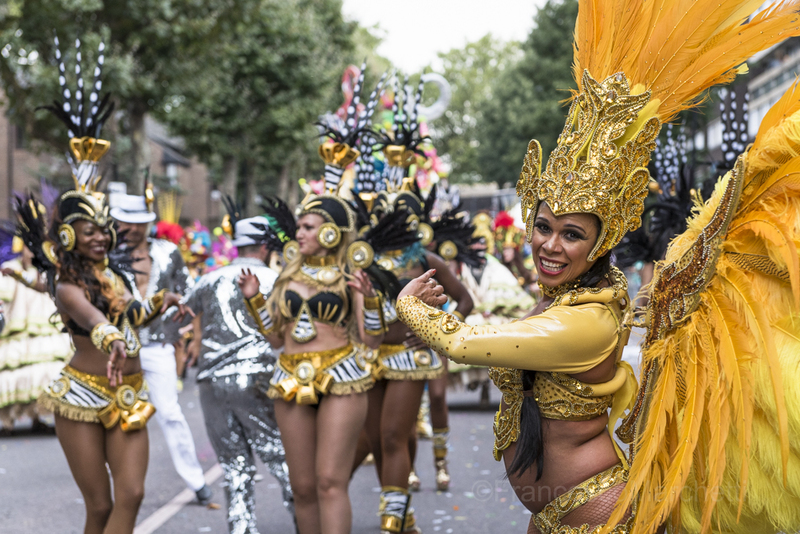 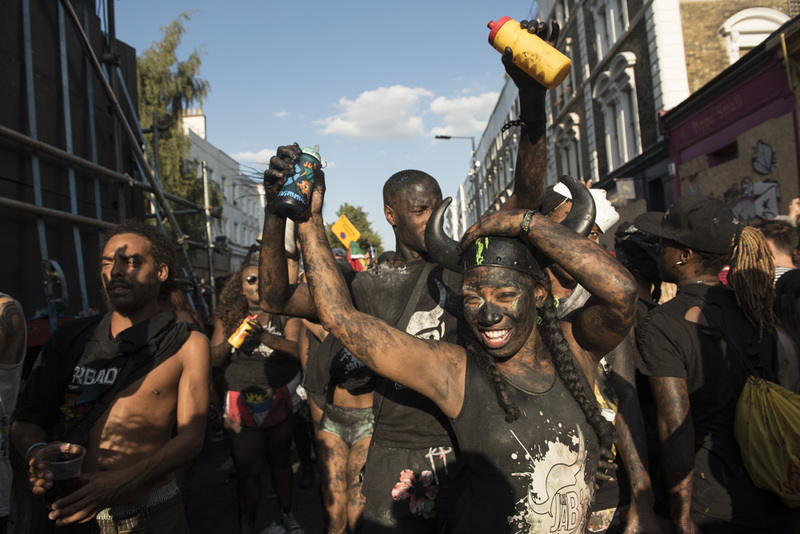 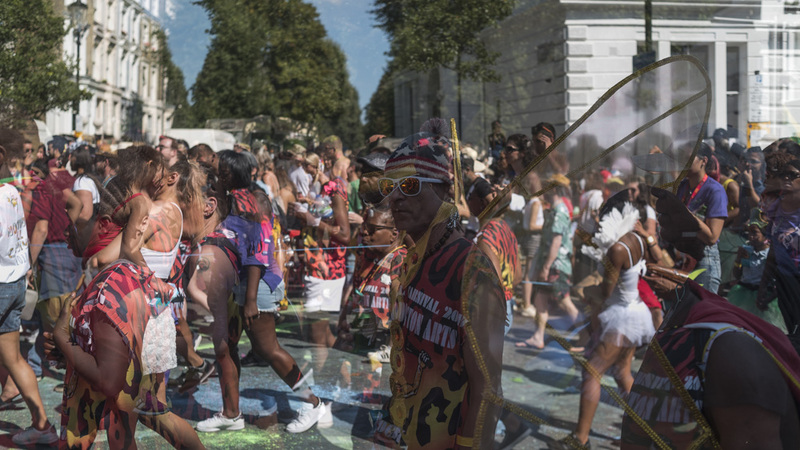 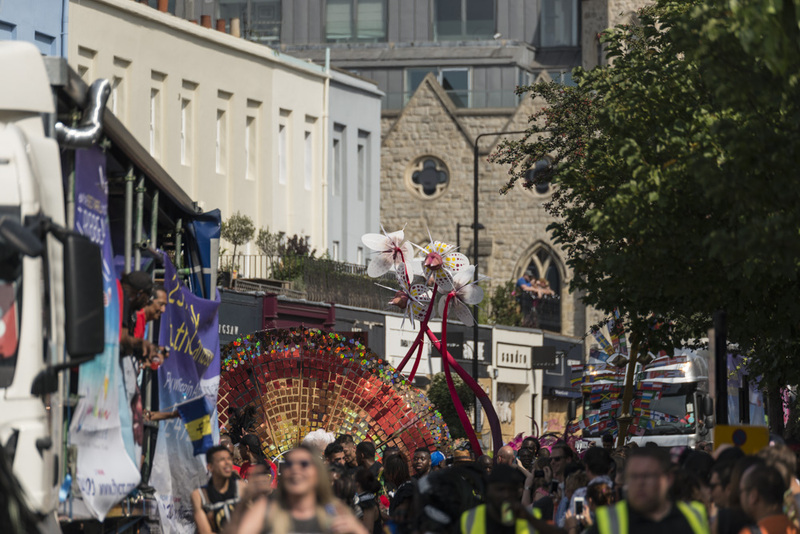 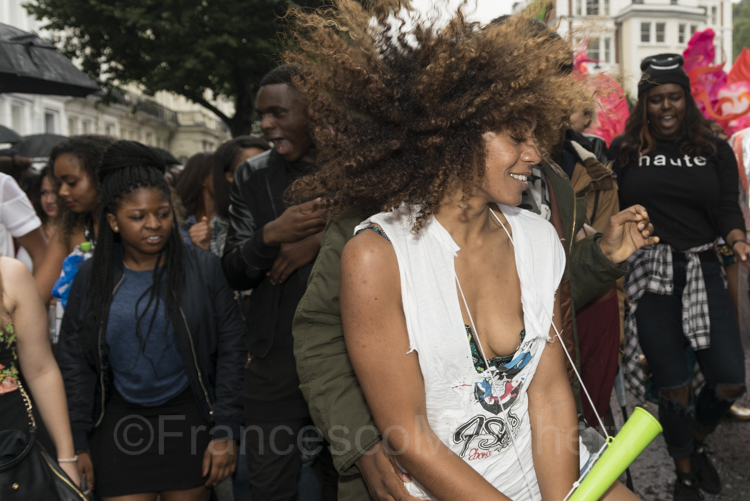 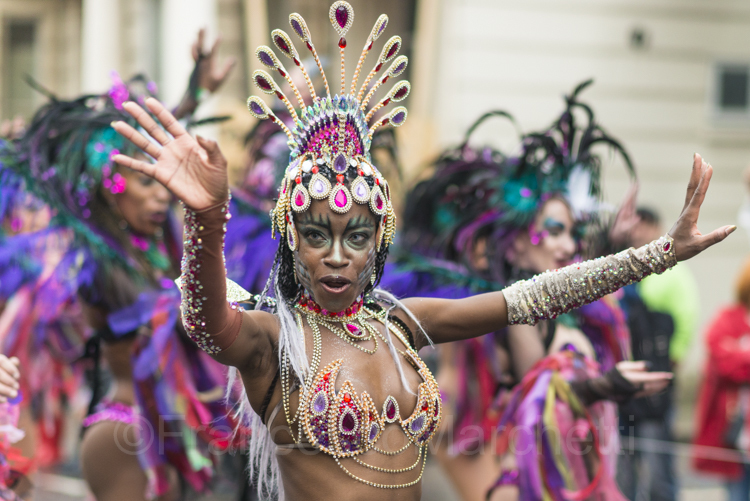 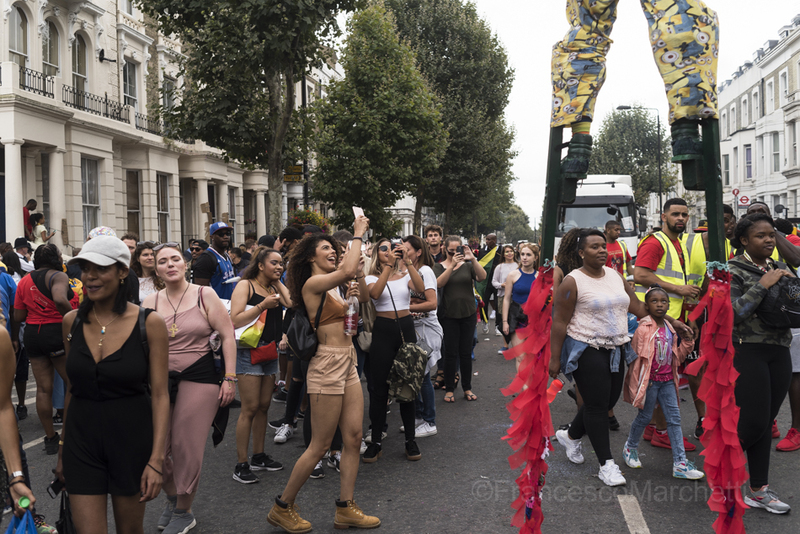 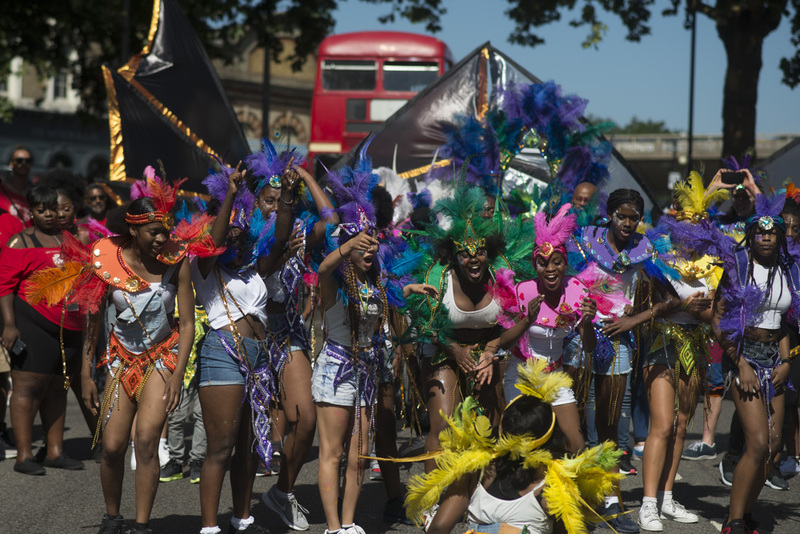 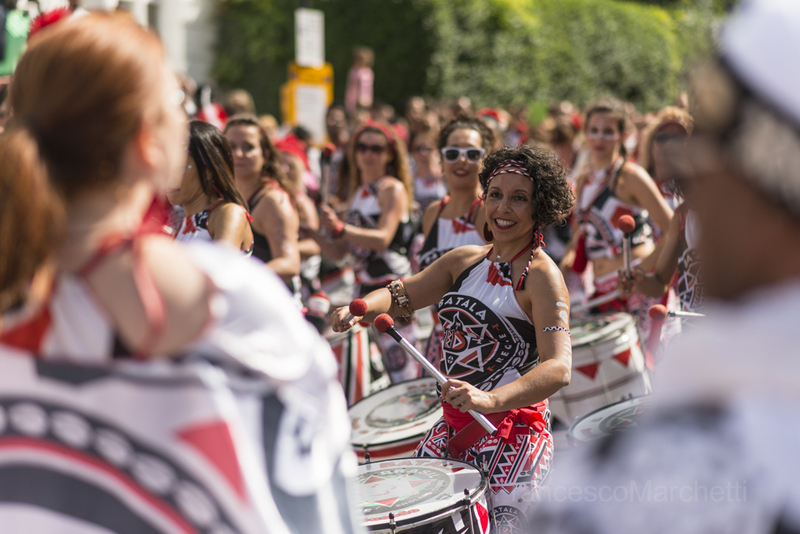 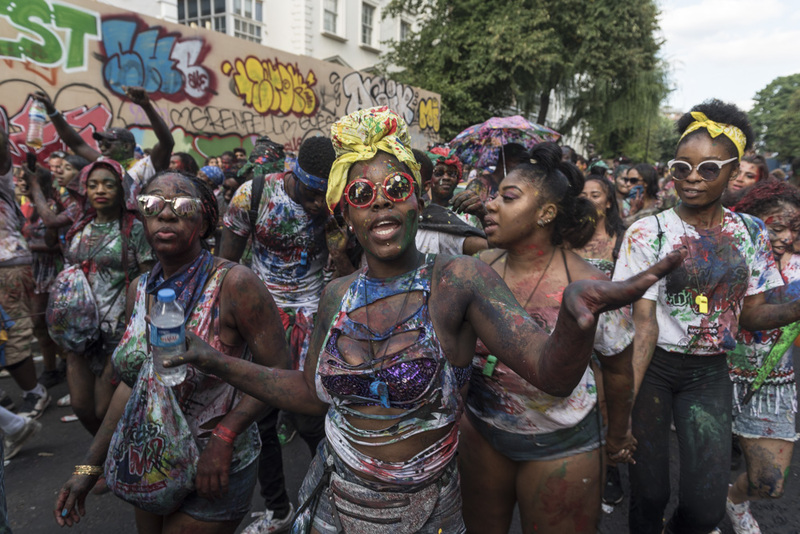 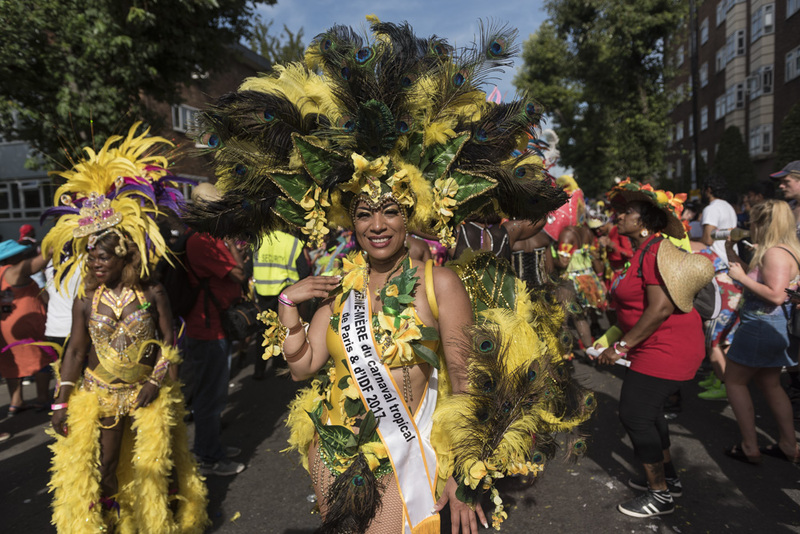 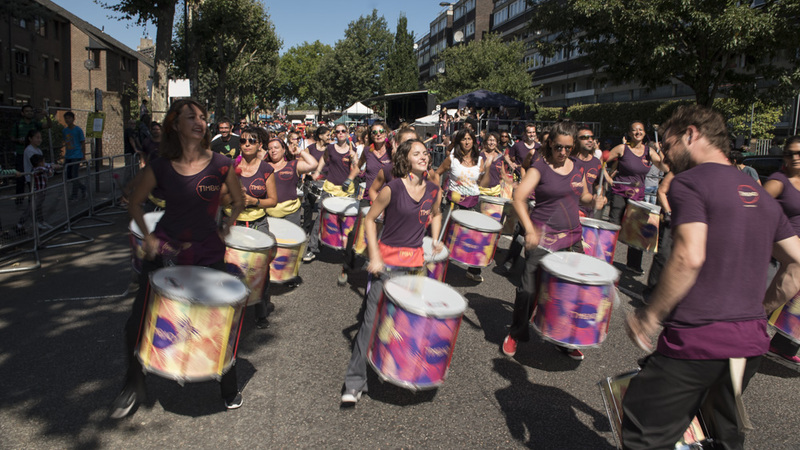 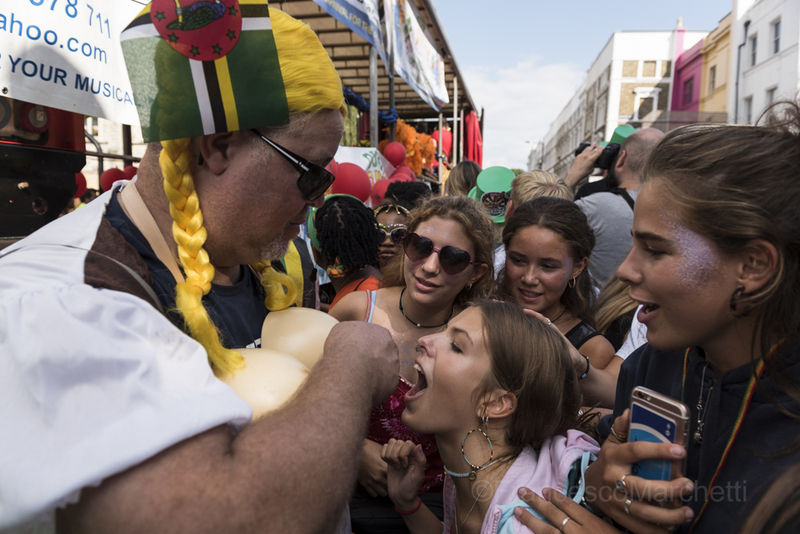 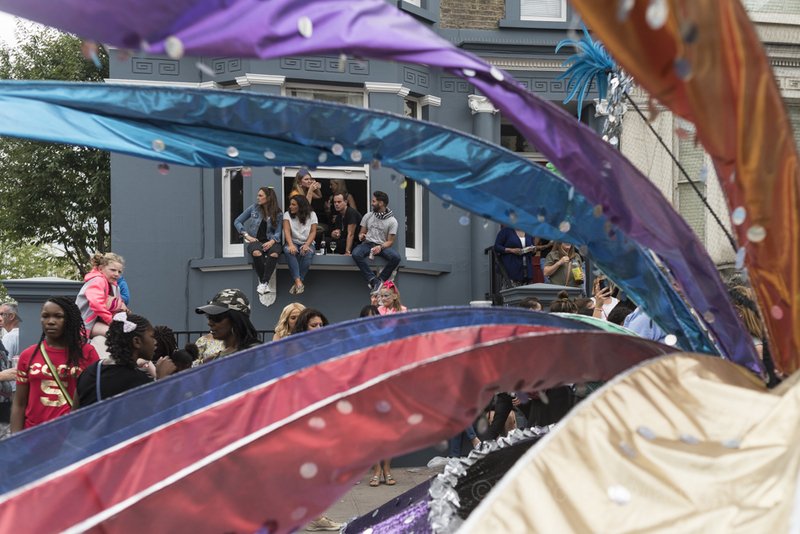 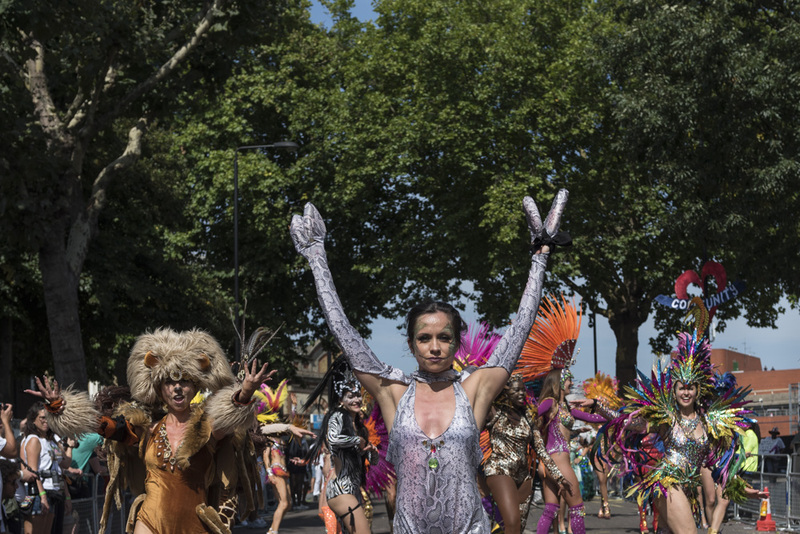 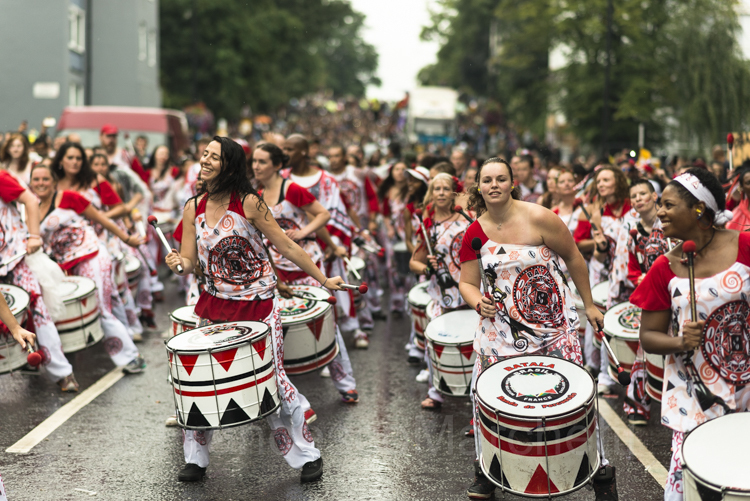 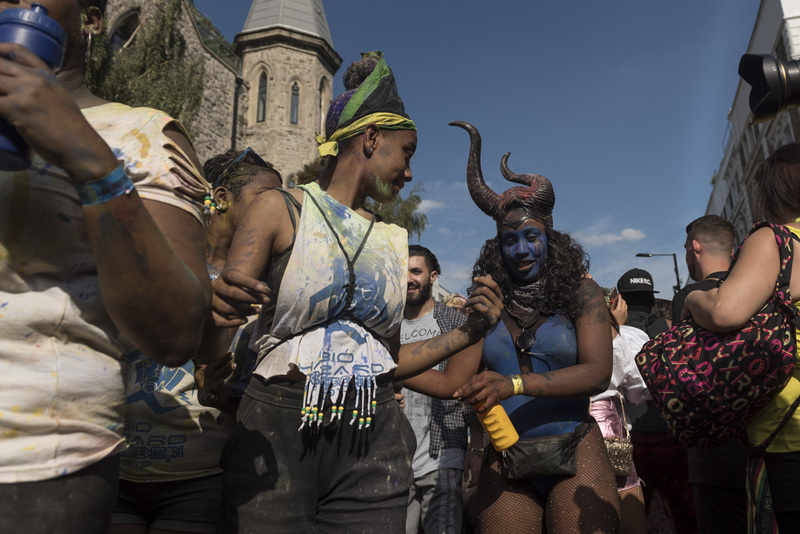 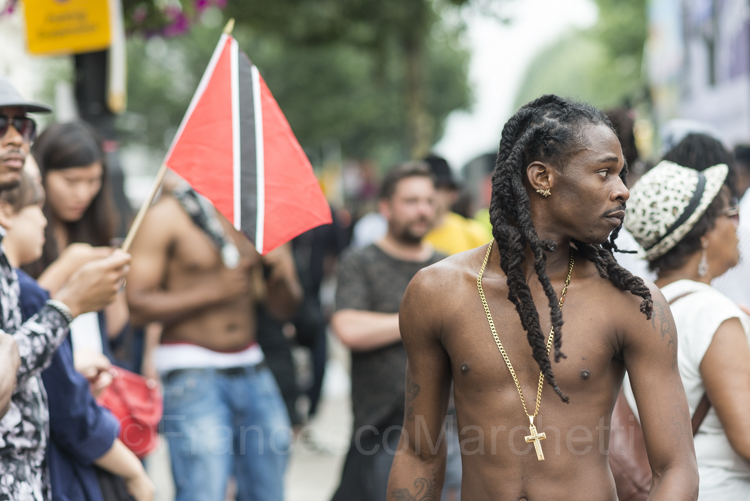 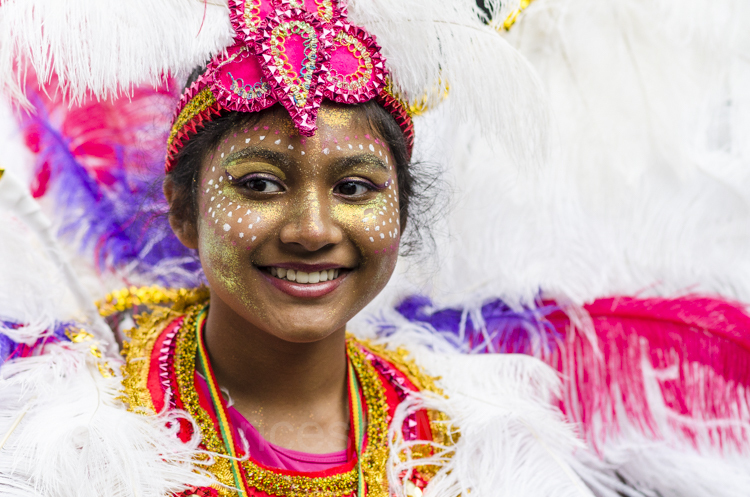 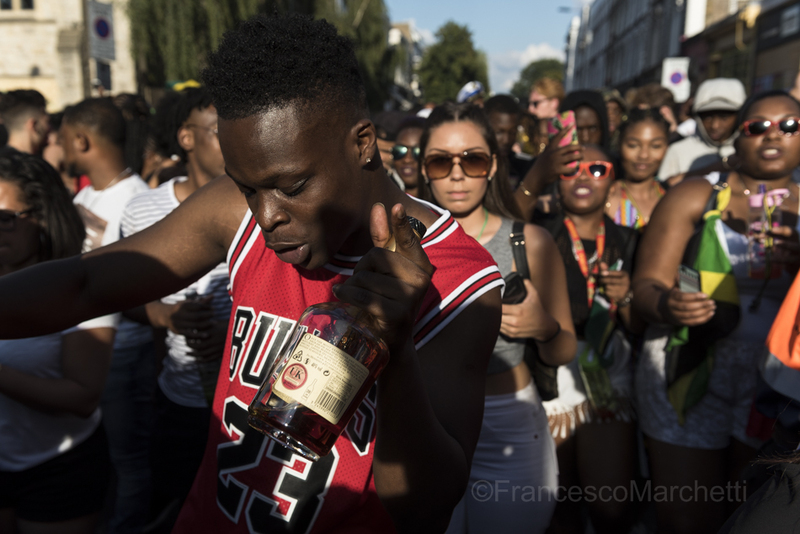 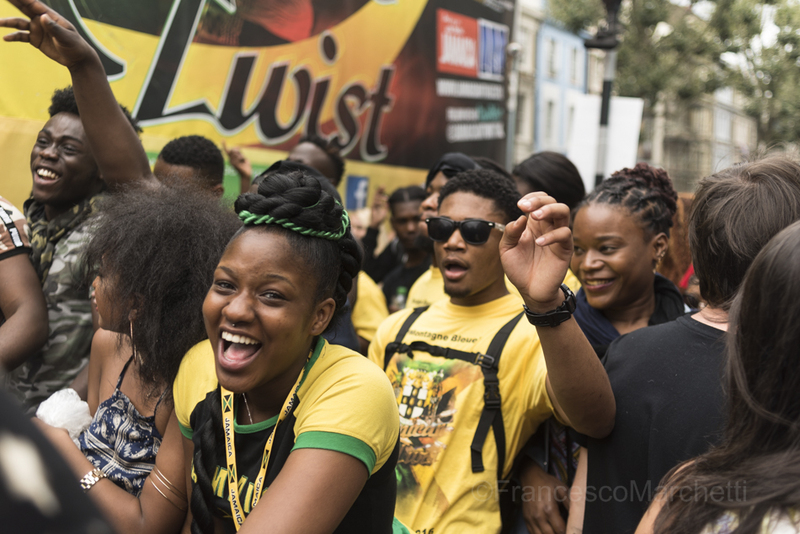 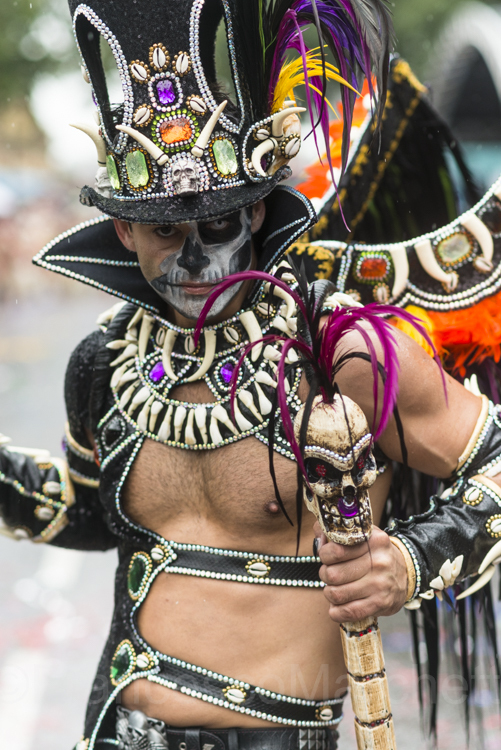 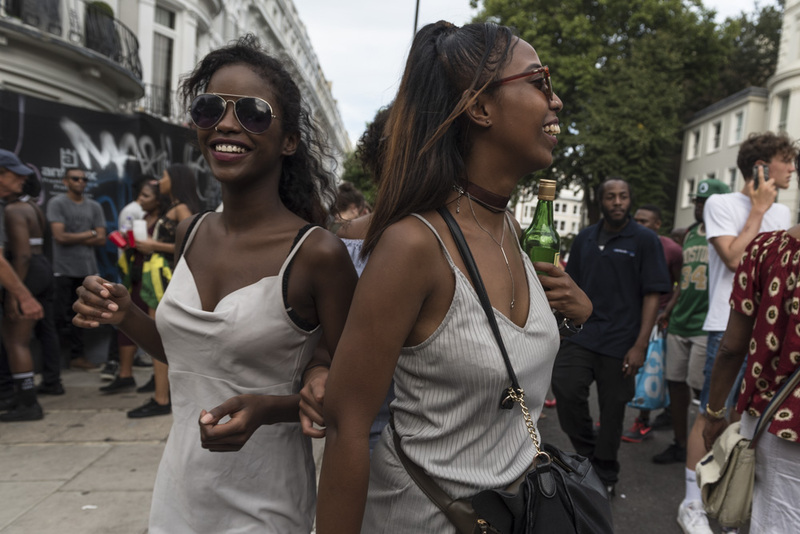 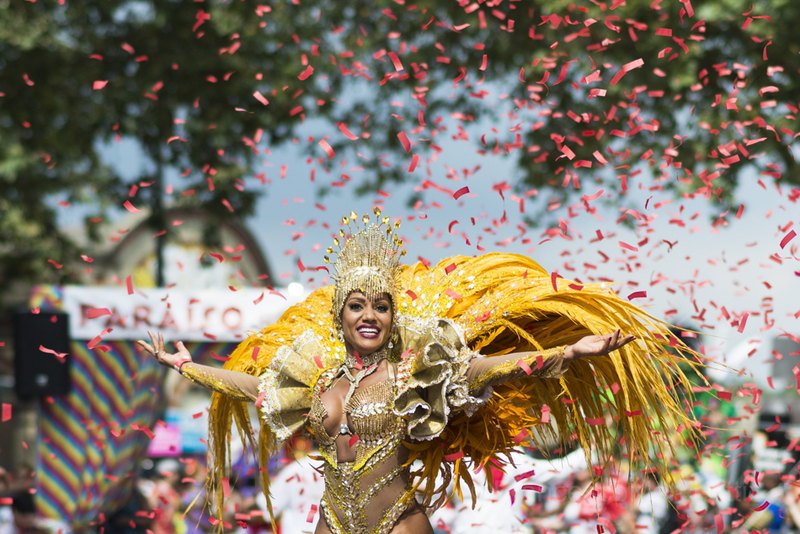 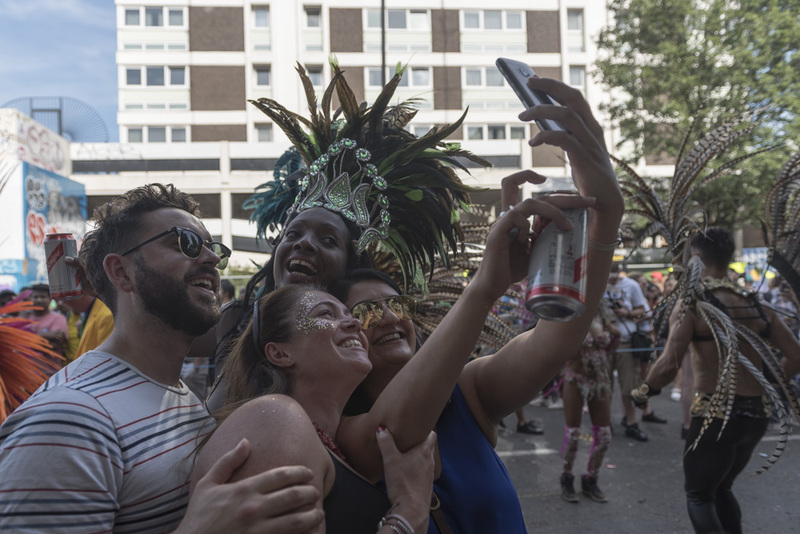 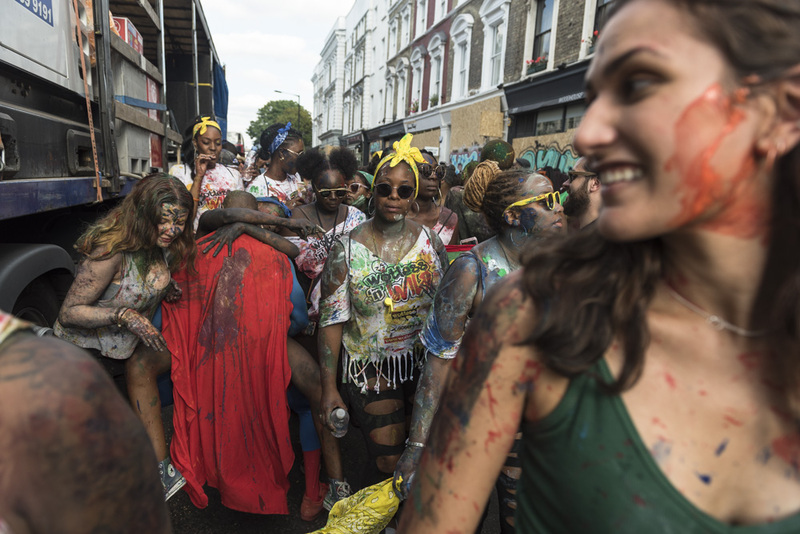 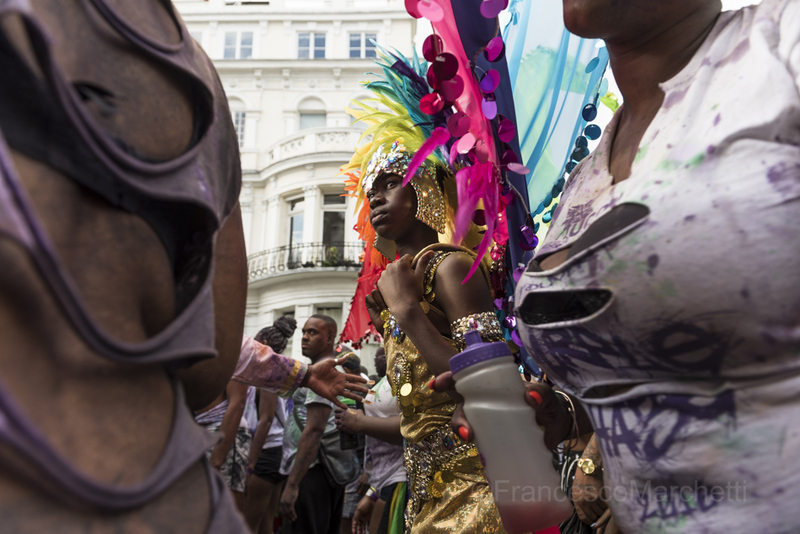 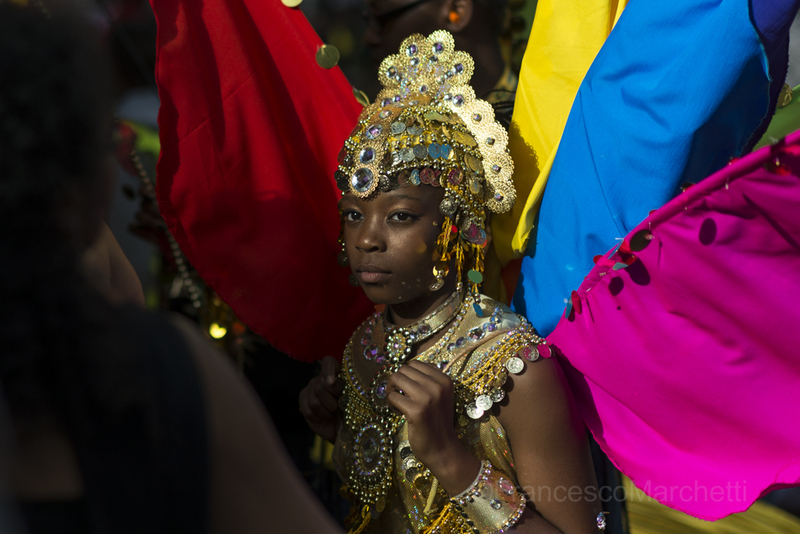 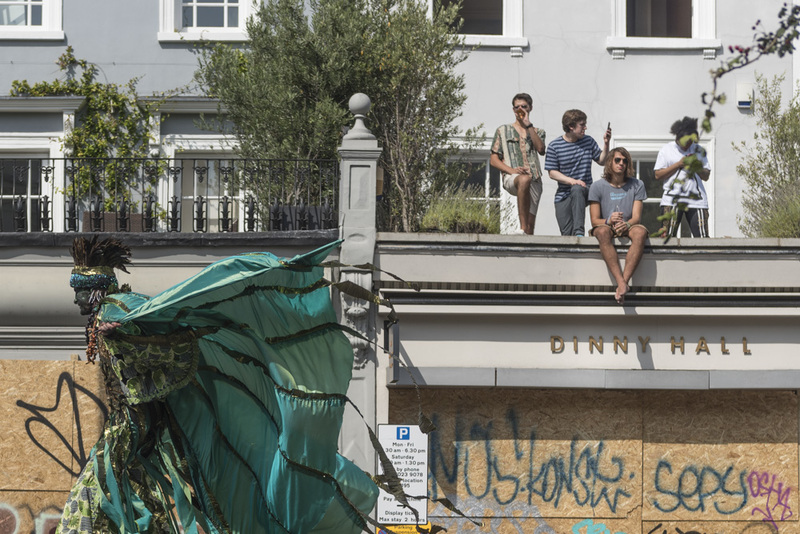 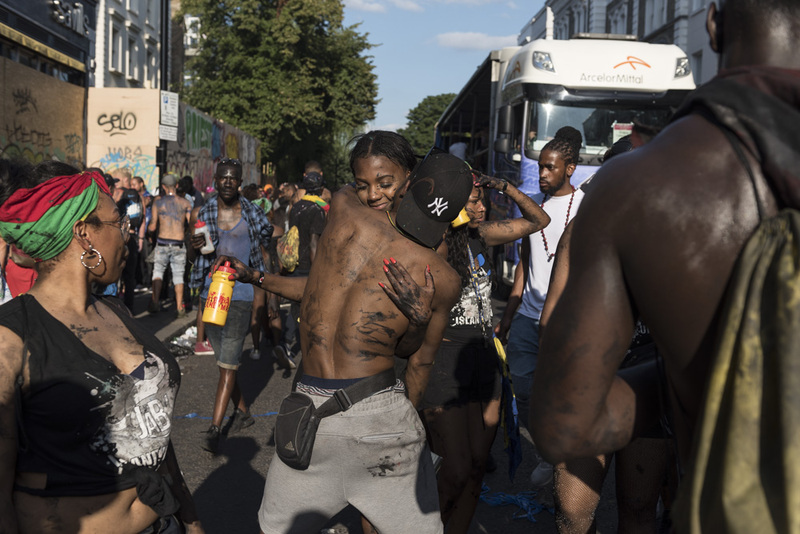 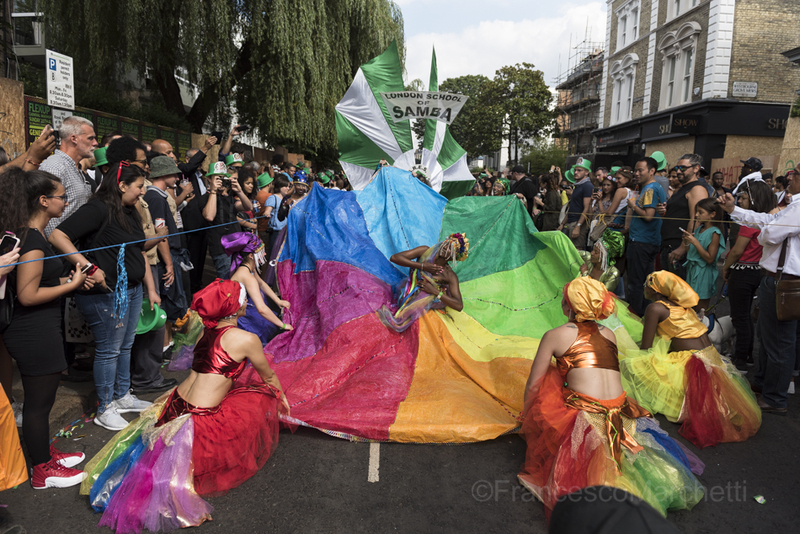 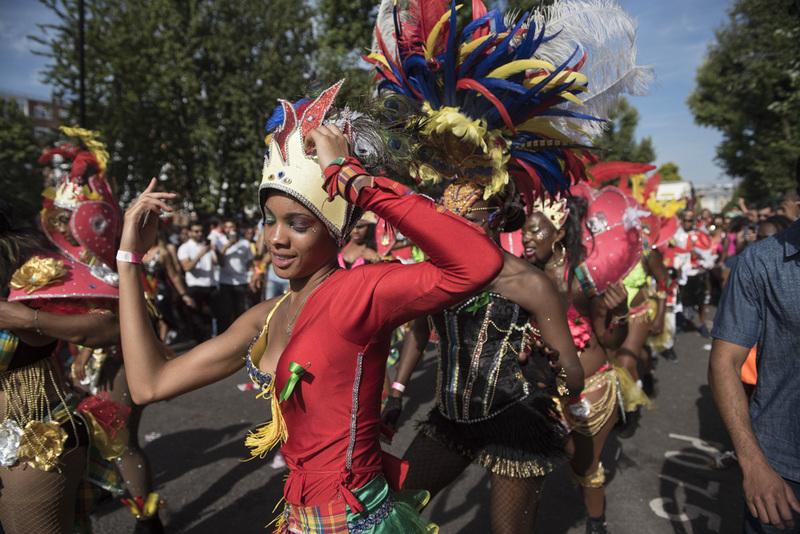 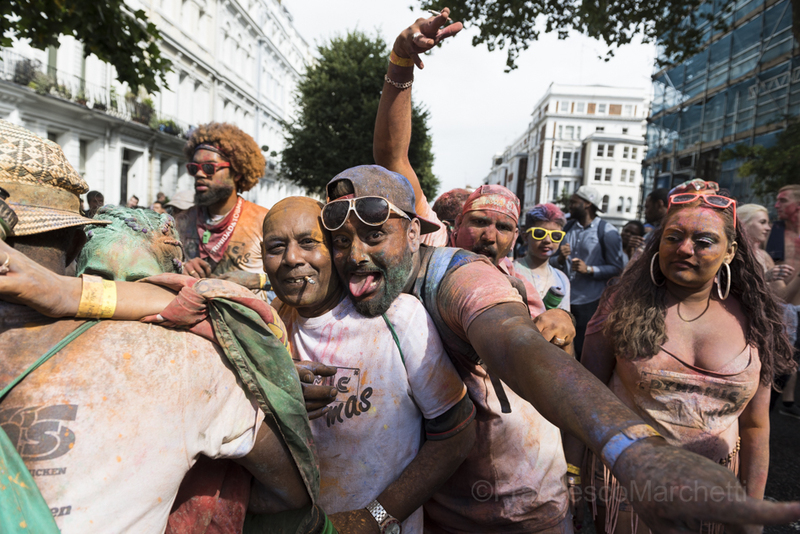 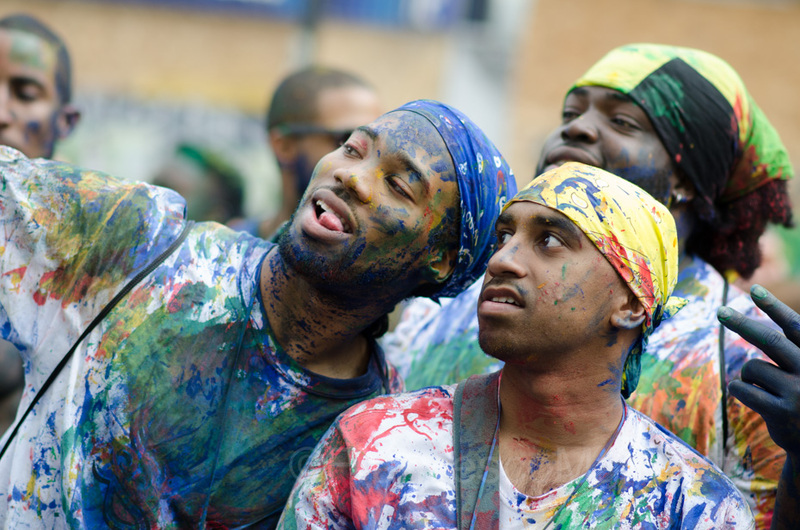 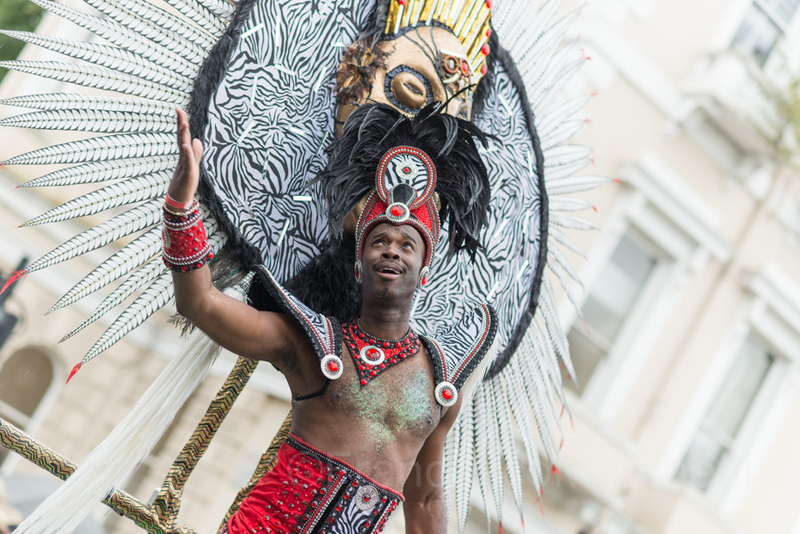 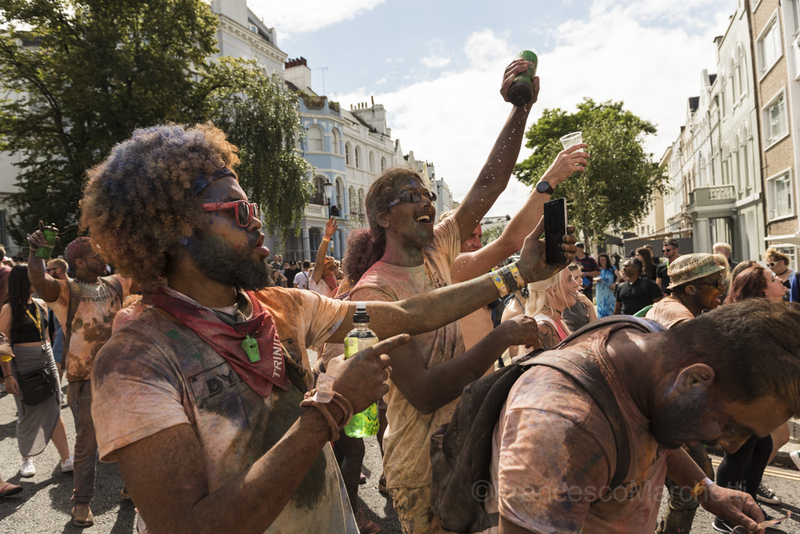 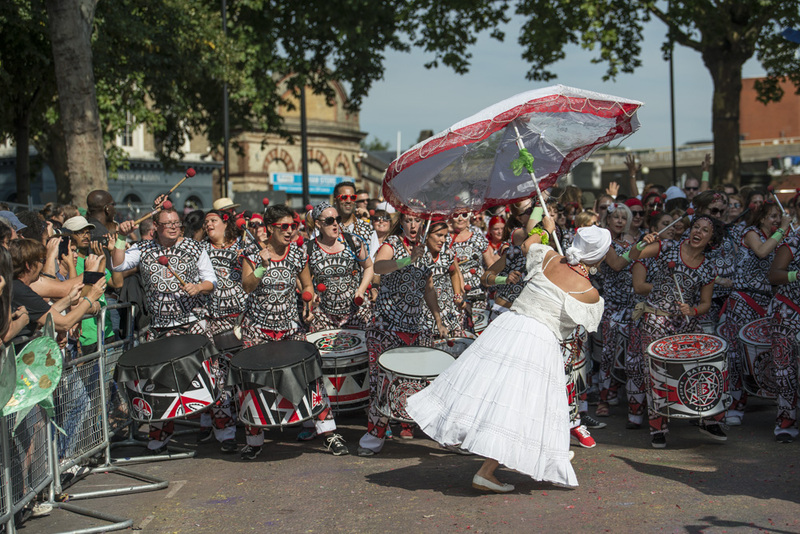 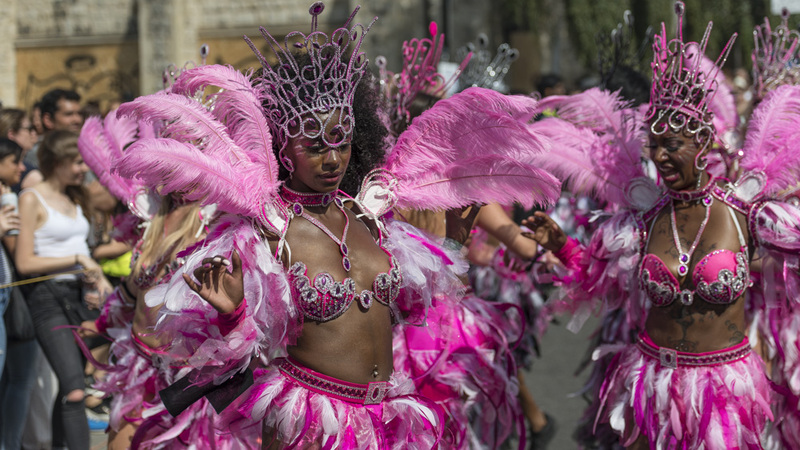 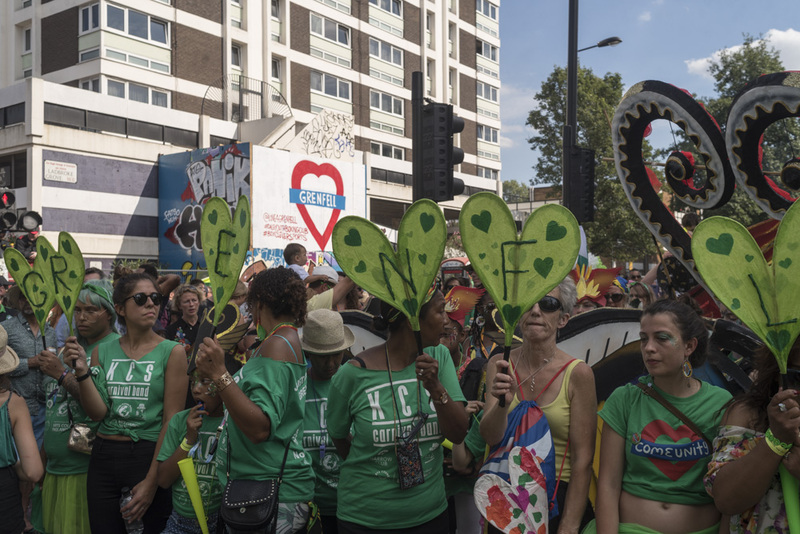 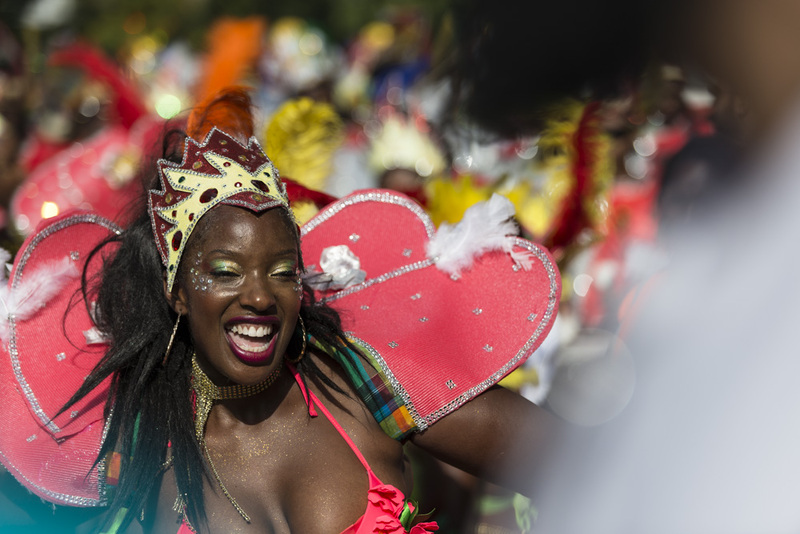 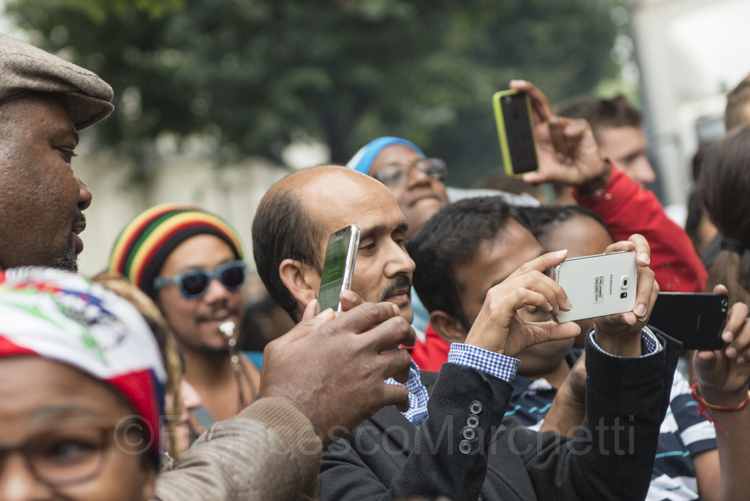 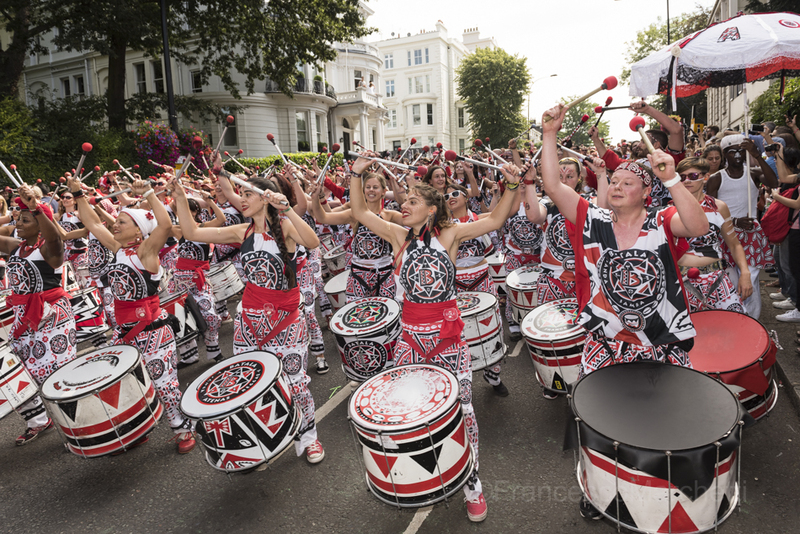 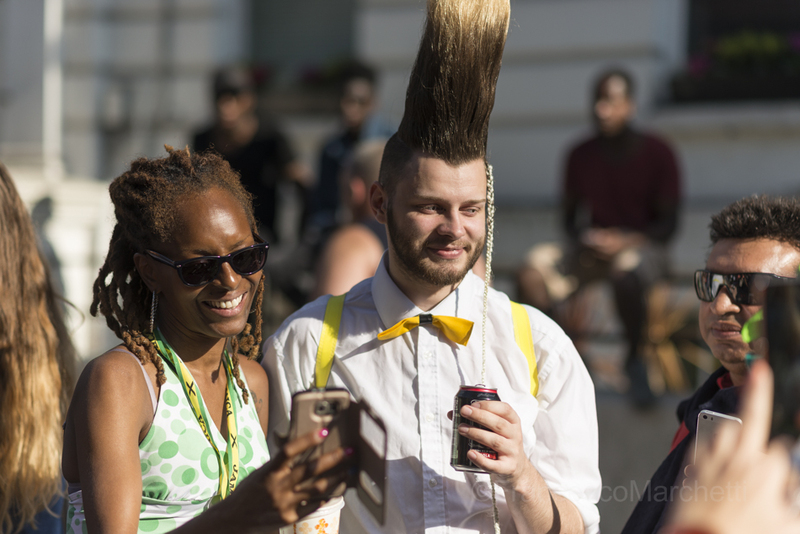 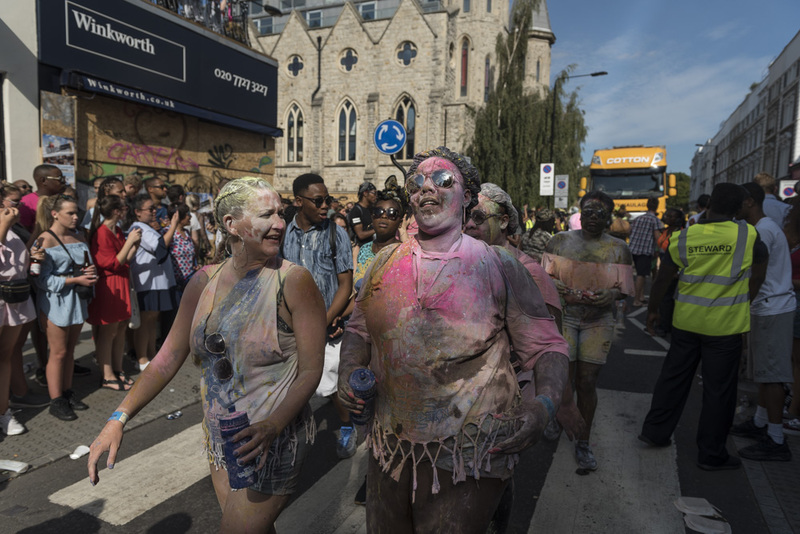 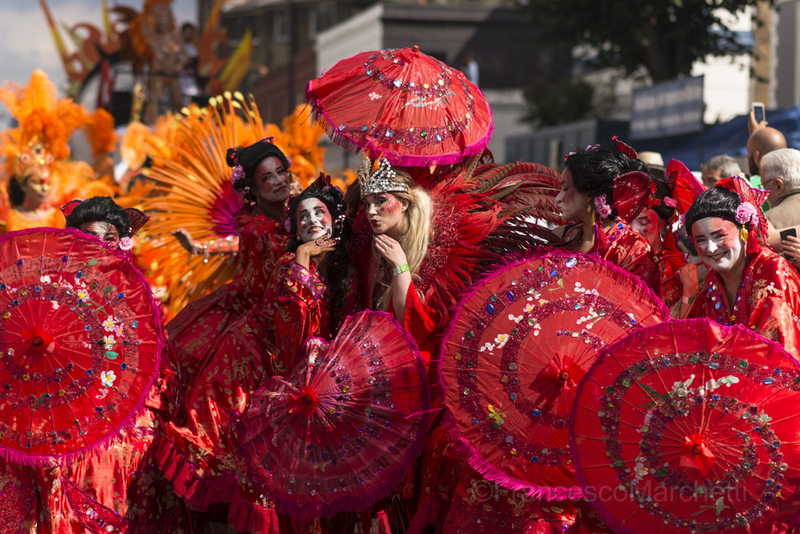 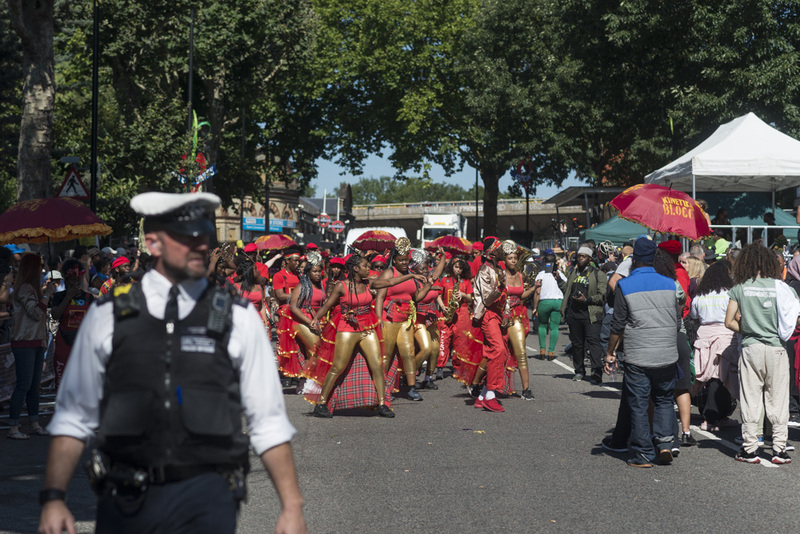 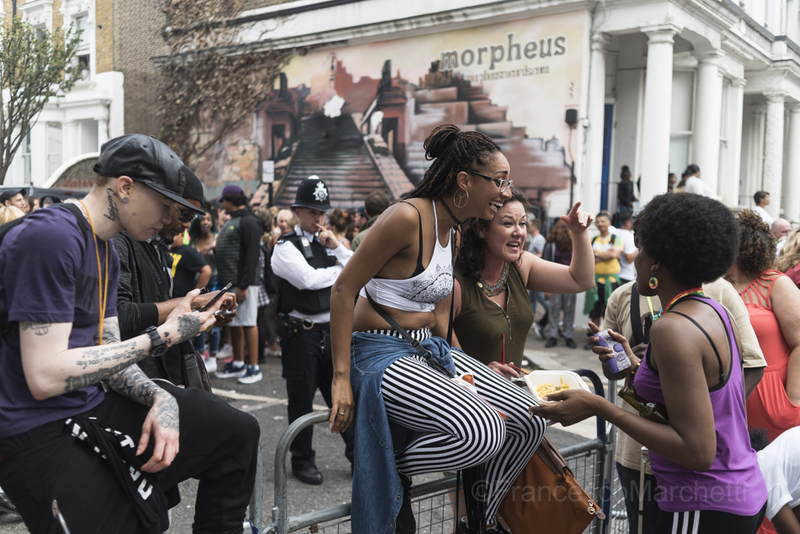 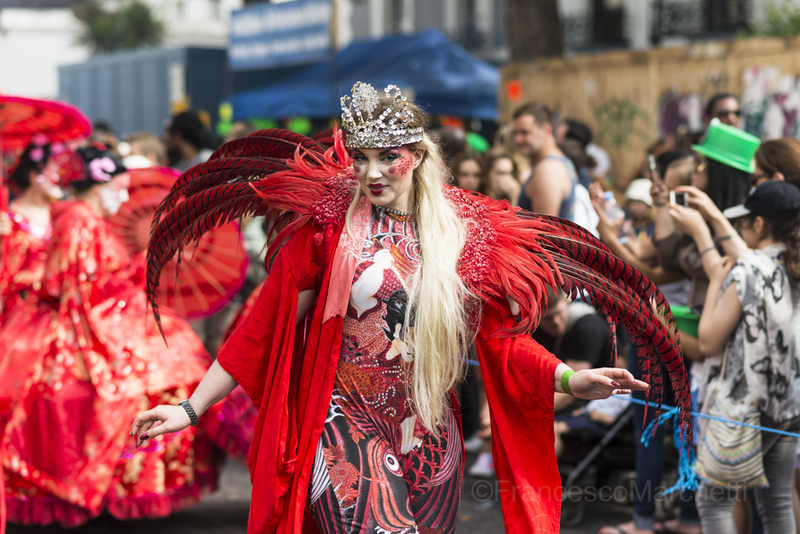 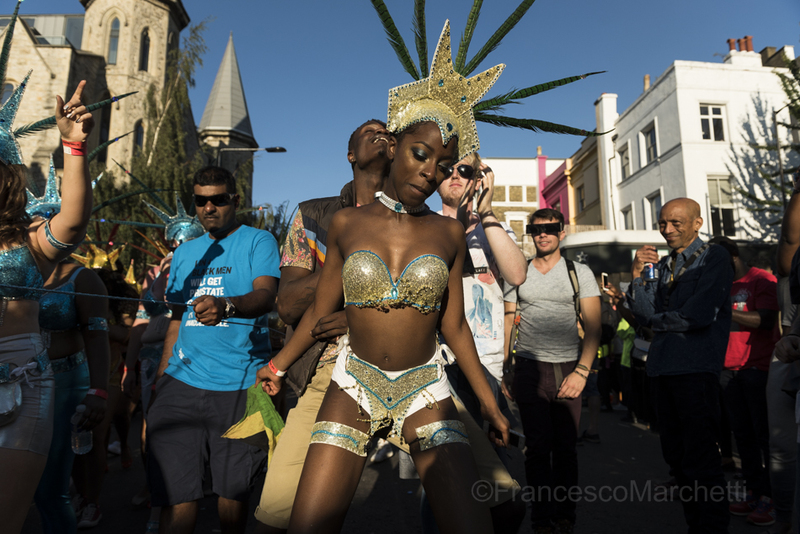 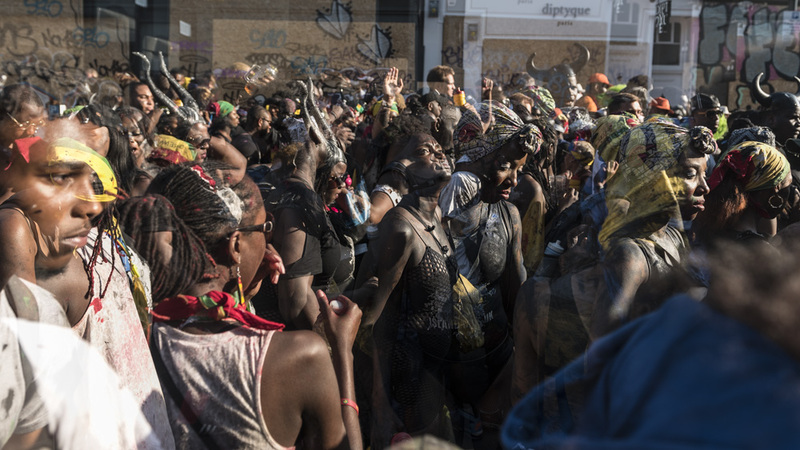 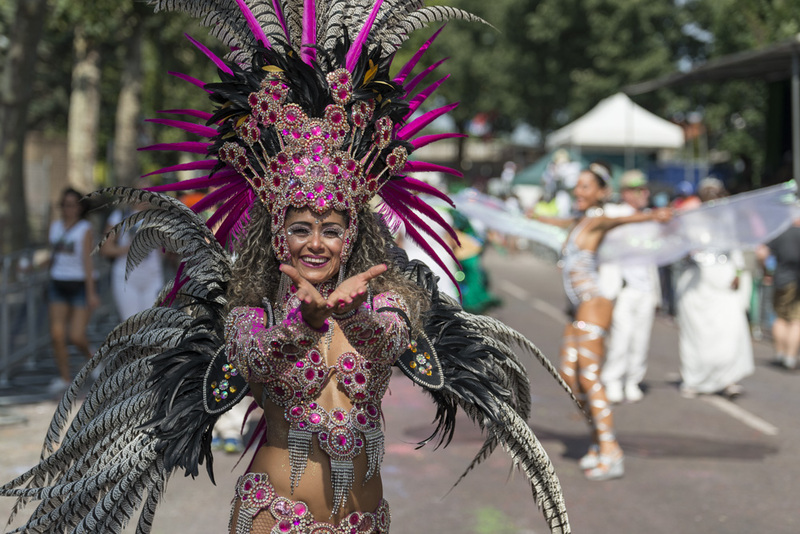 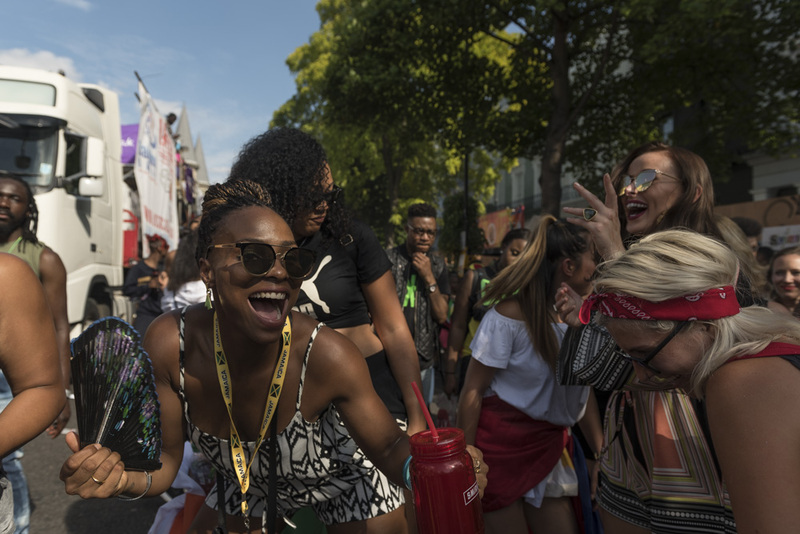 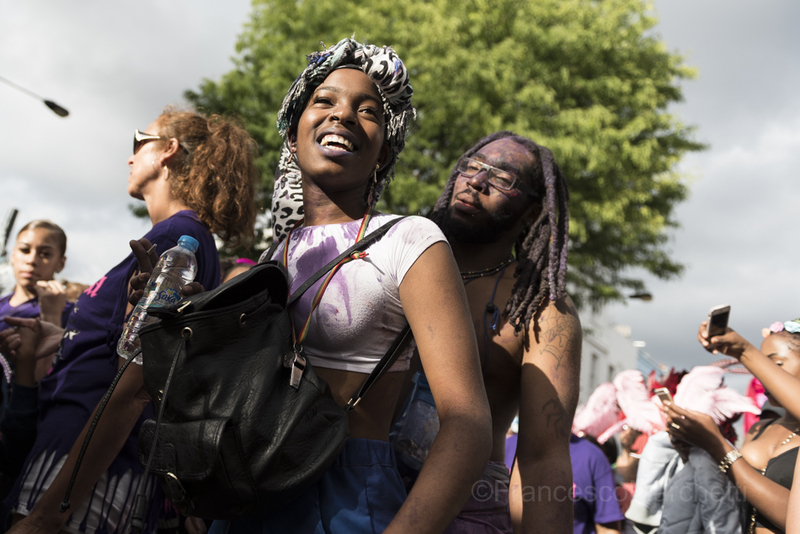 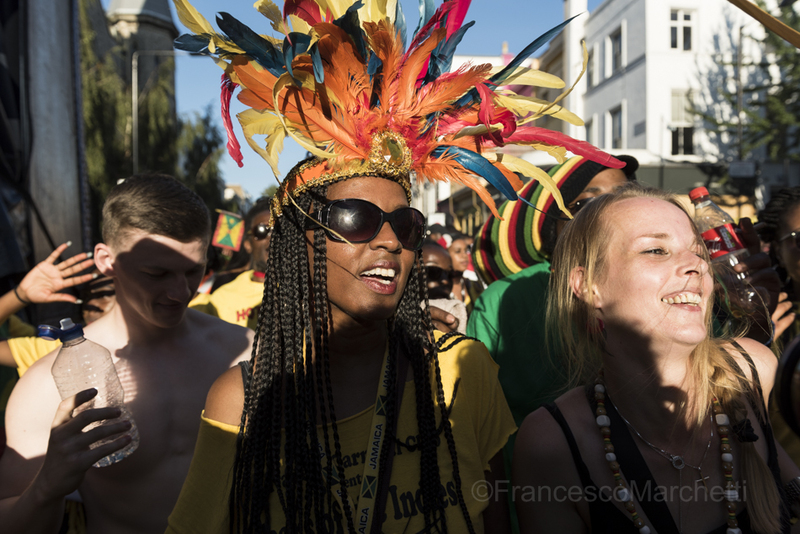 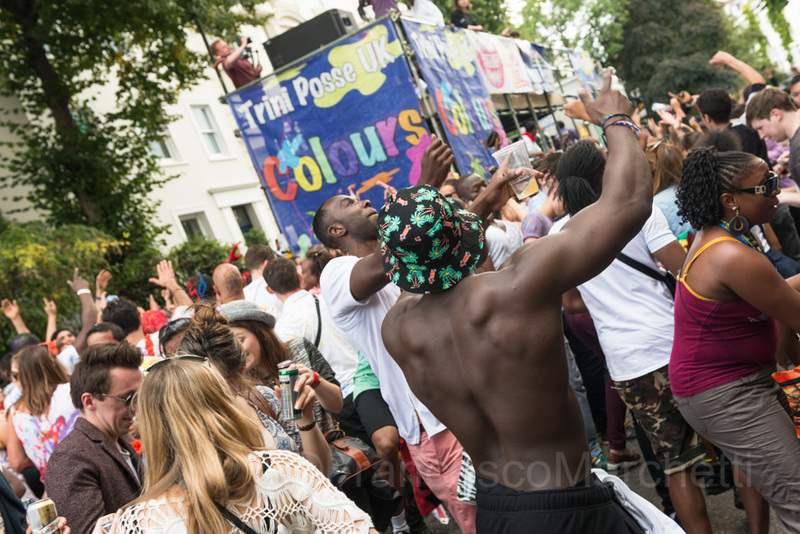 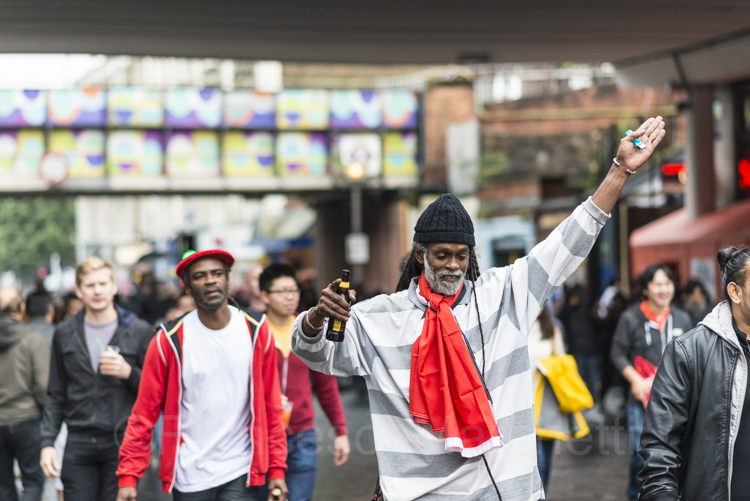 It is time for the Notting Hill Carnival, the Europe’s biggest street party. 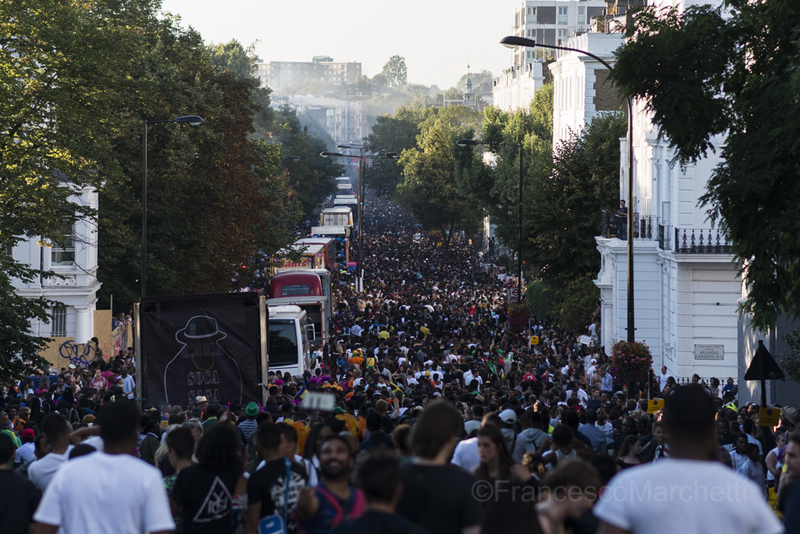 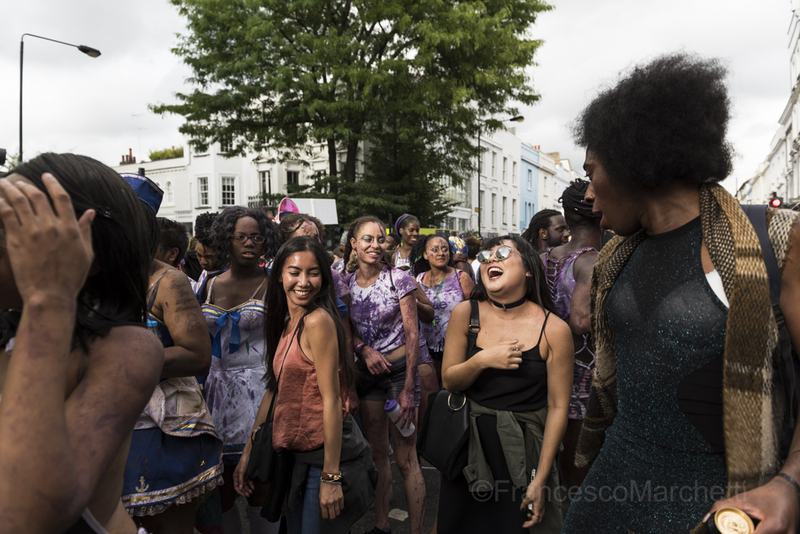 Prior to the parade, Notting Hill offers a very different scenario to what we are normally used to see. 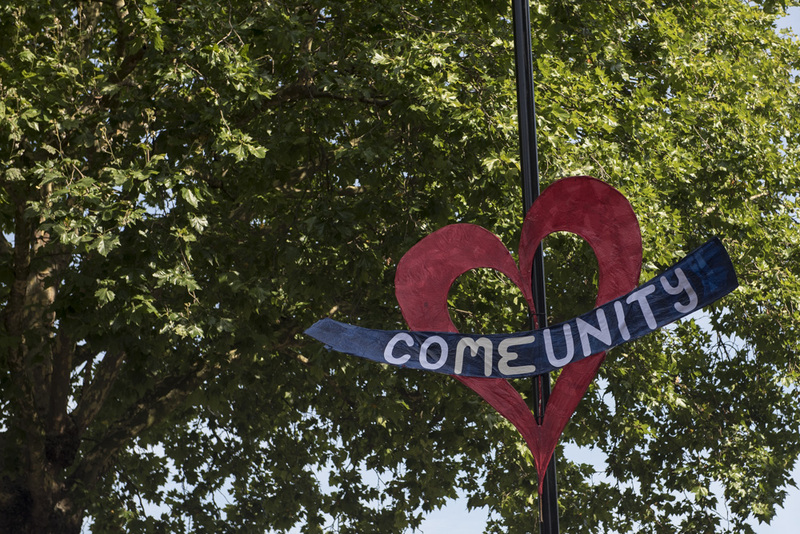 It is silent, empty and majority of the locals left for the bank holiday weekend. 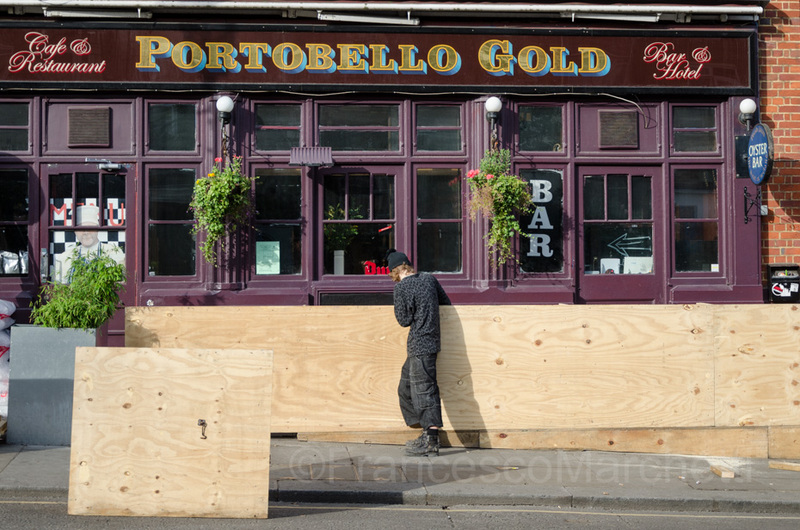 Preparation begins the night before, when shops are boarded for protection along the main artery of the Parade’s route. 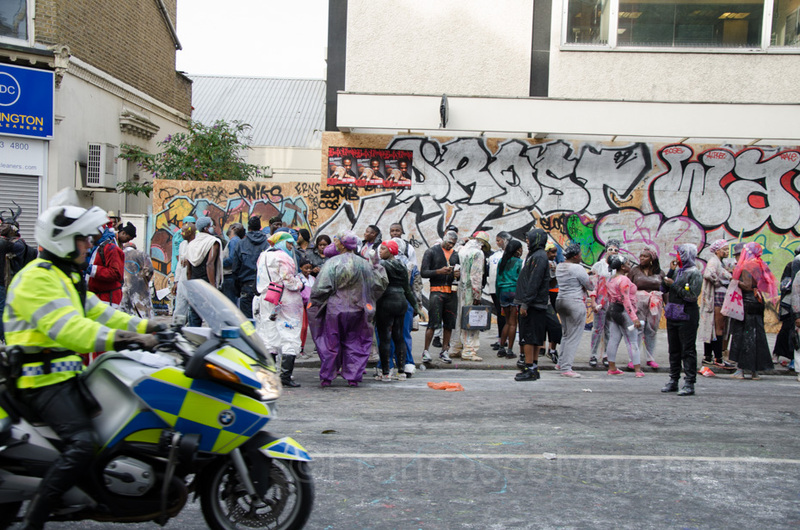 It is an opportunity for a small army of street artists to show off colourful graffiti. 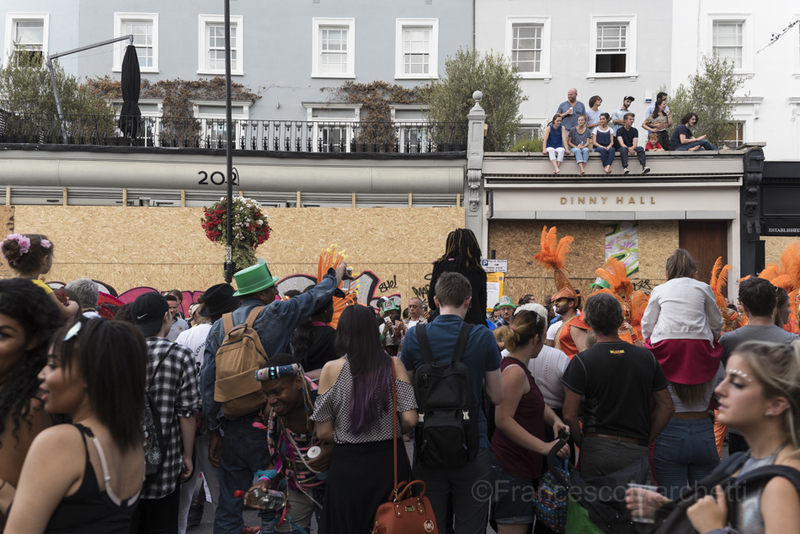 Majority of the shops are closed and only few businesses will remain open during the Carnival offering drinks on the street. 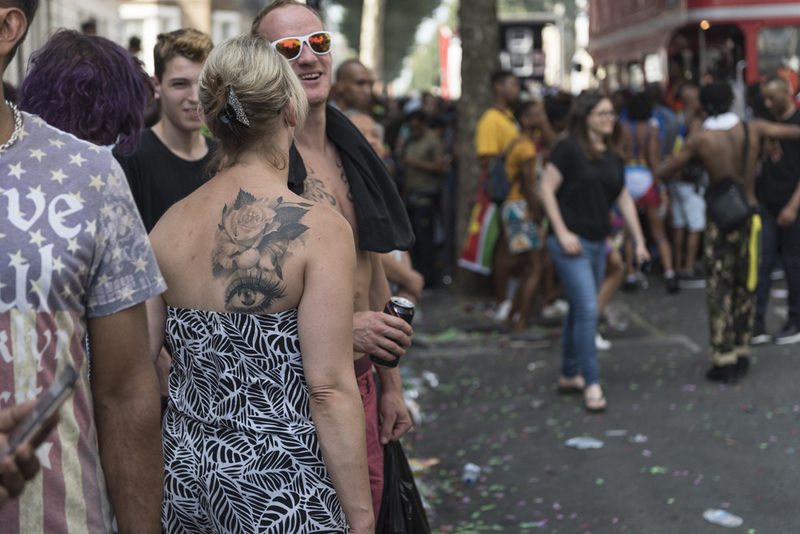 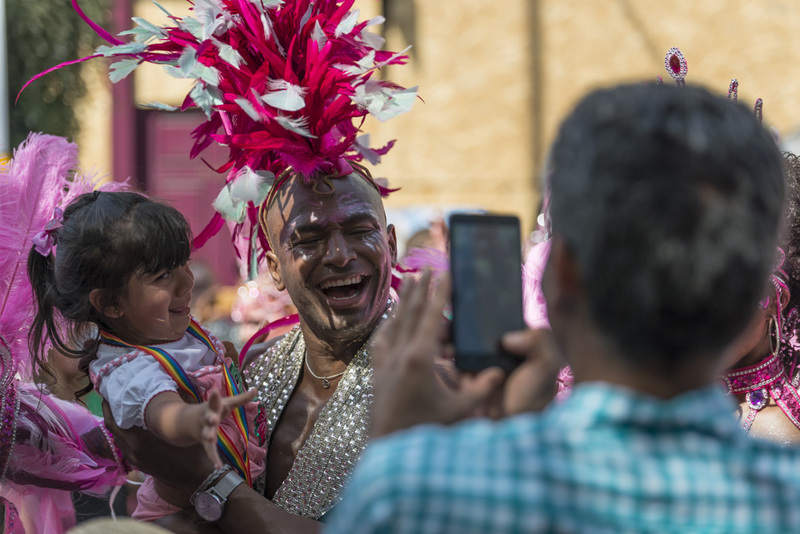 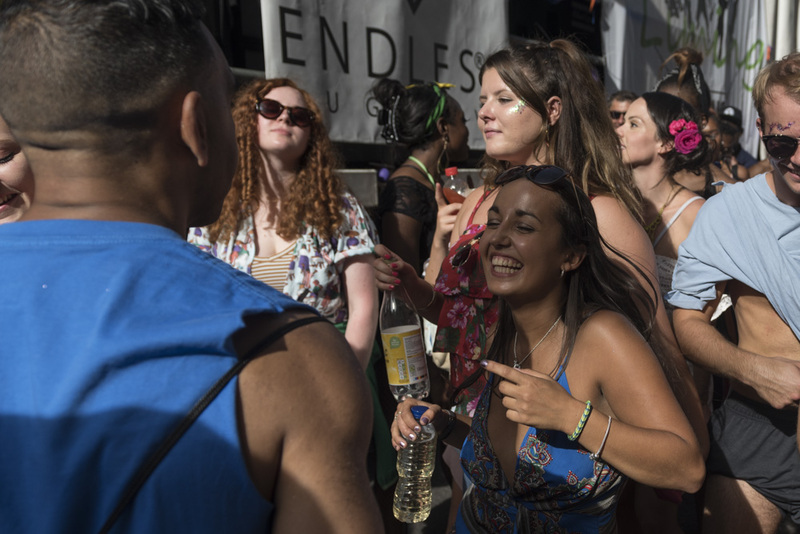 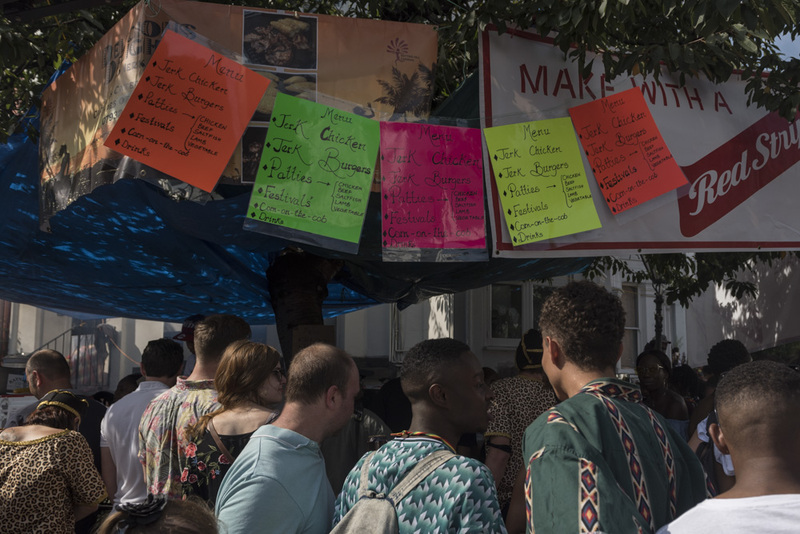 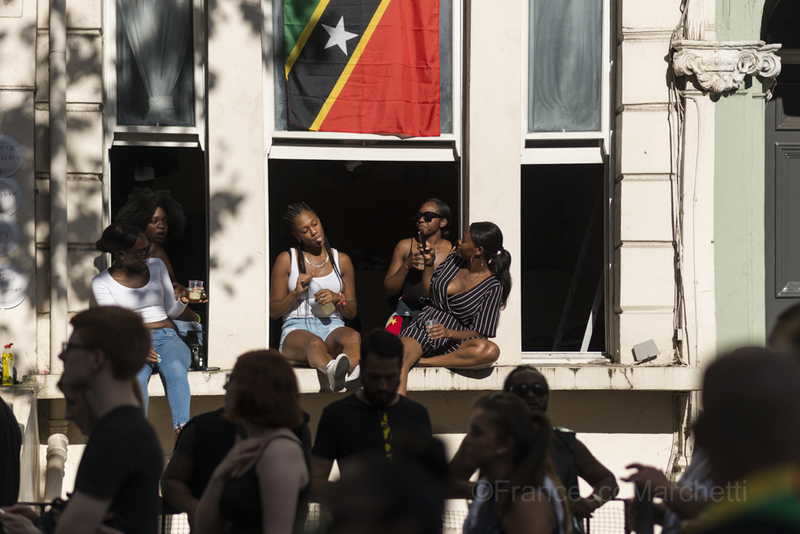 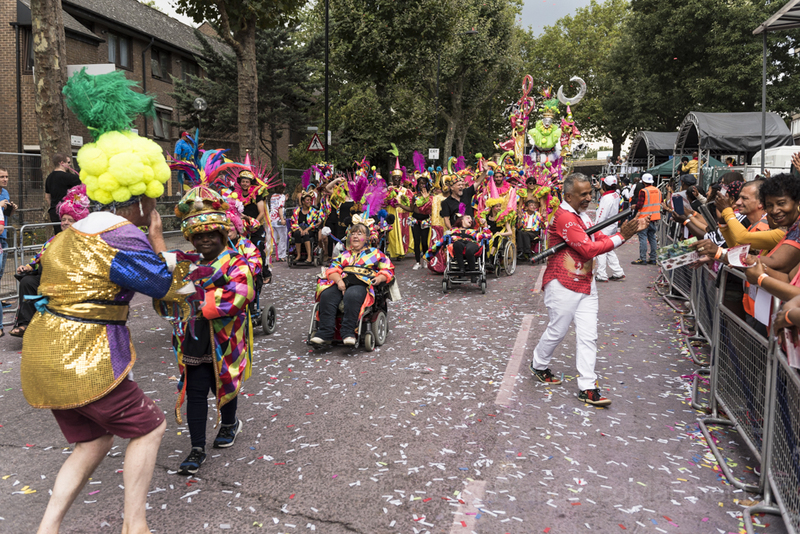 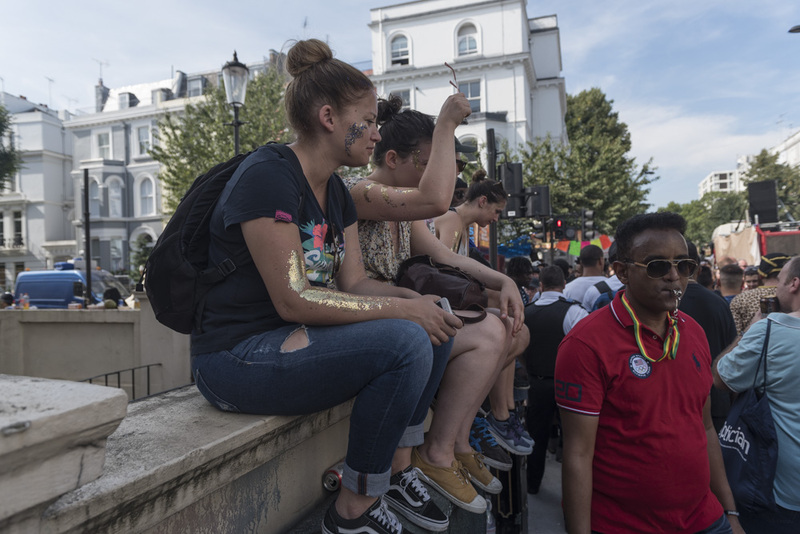 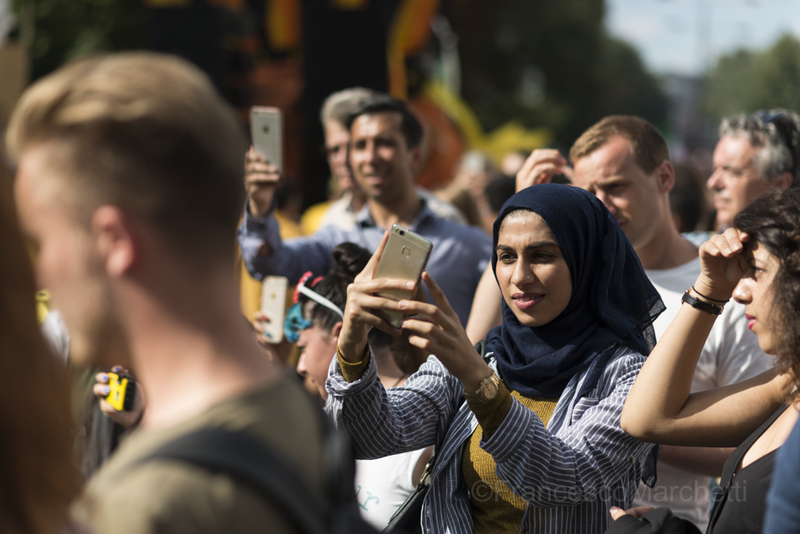 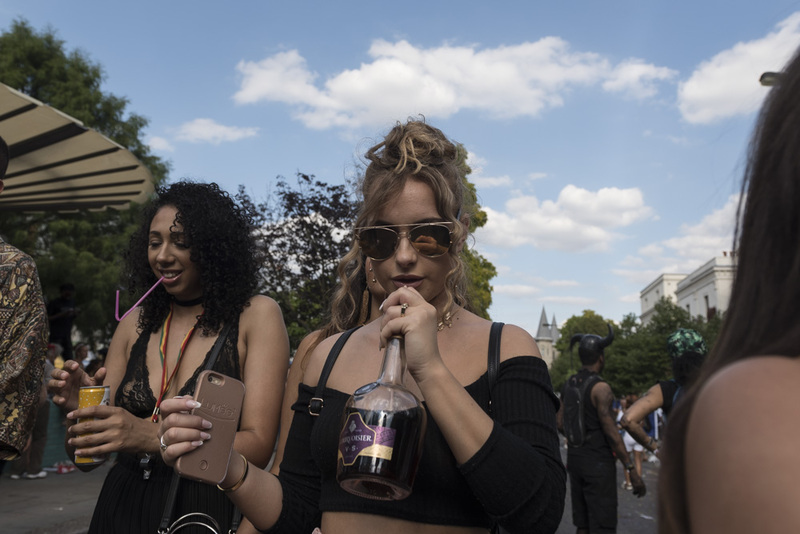 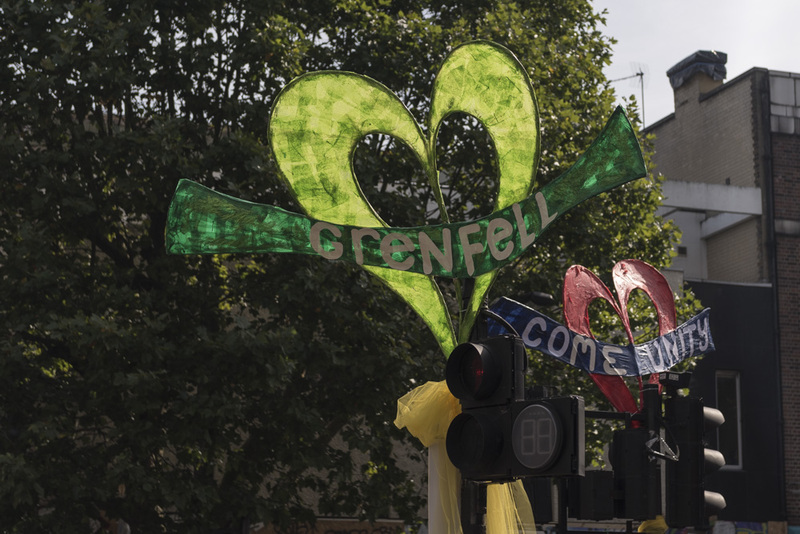 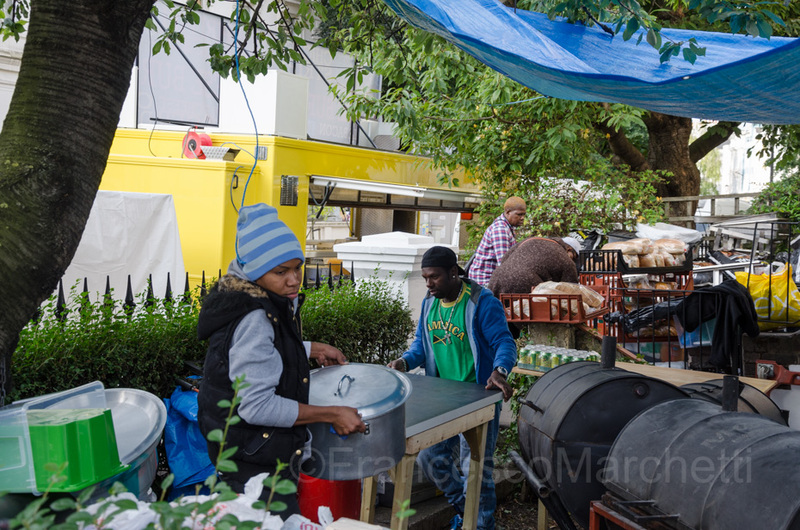 Some residents will be offering food and drinks on the street during the Parade, and organisation starts early in the morning. 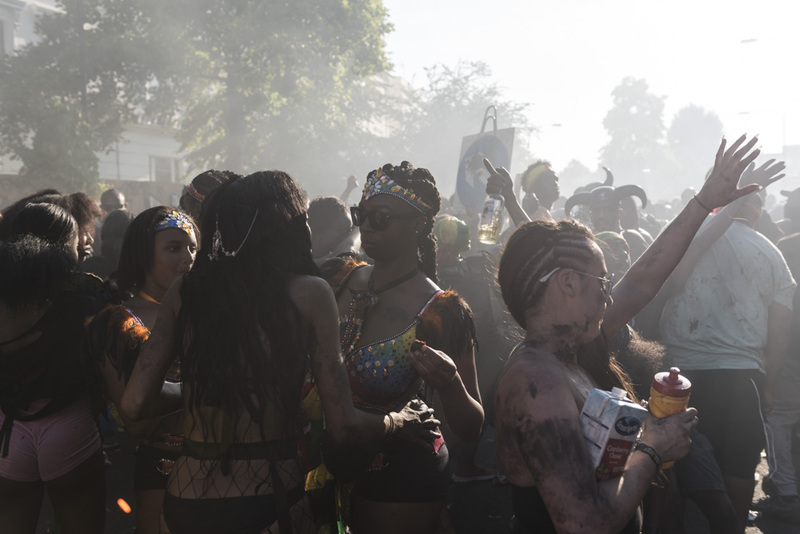 The forecast for the weekend is variable. 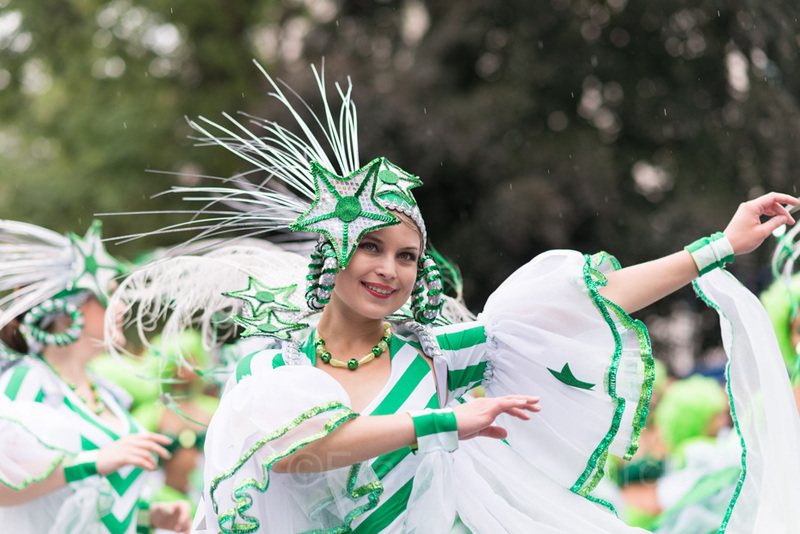 Monday it is the party for grow ups, but it looks like they will be dancing in the rain. 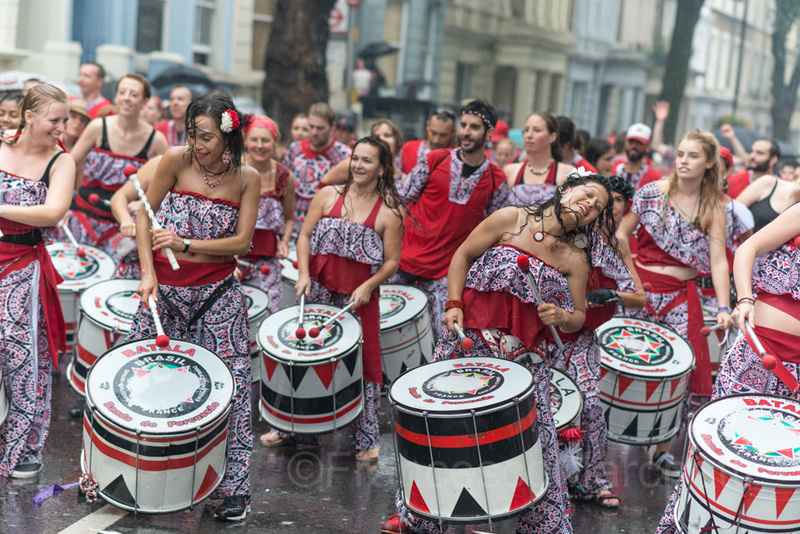 I am either early for the parade or the show is delayed because of the weather, and I kill the time around Portobello Road. 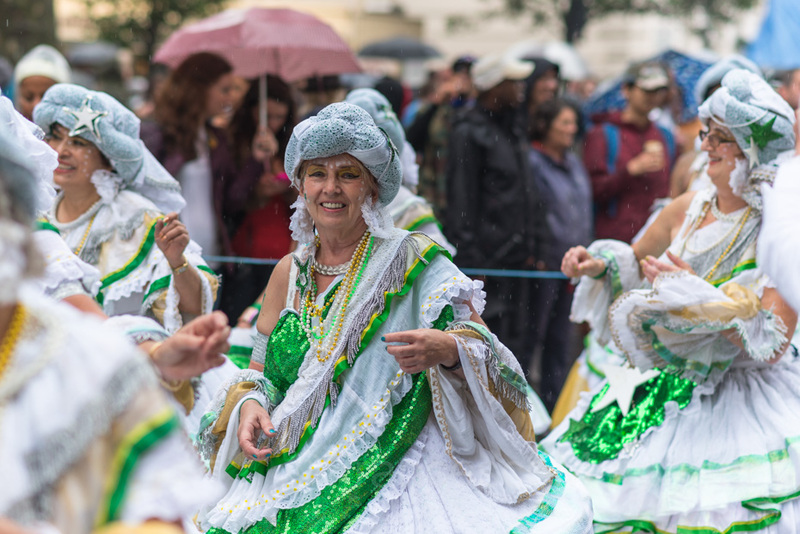 Will be people put off by the adverse weather and decide to stay at home? 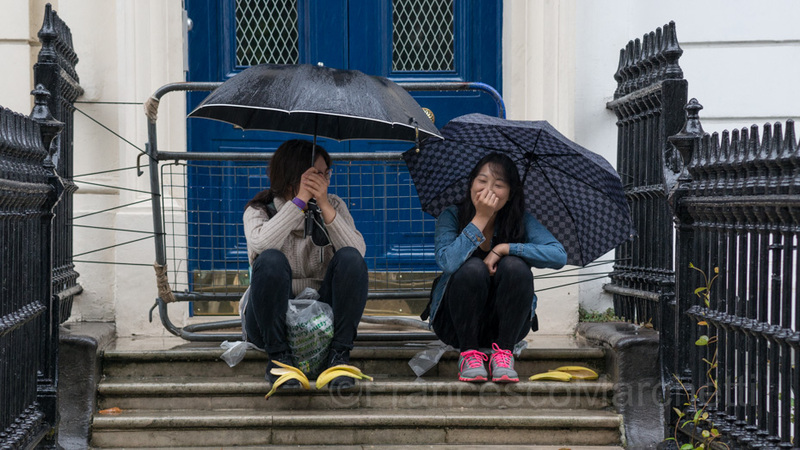 It does not look like, even bananas are used to keep the shoes dry. 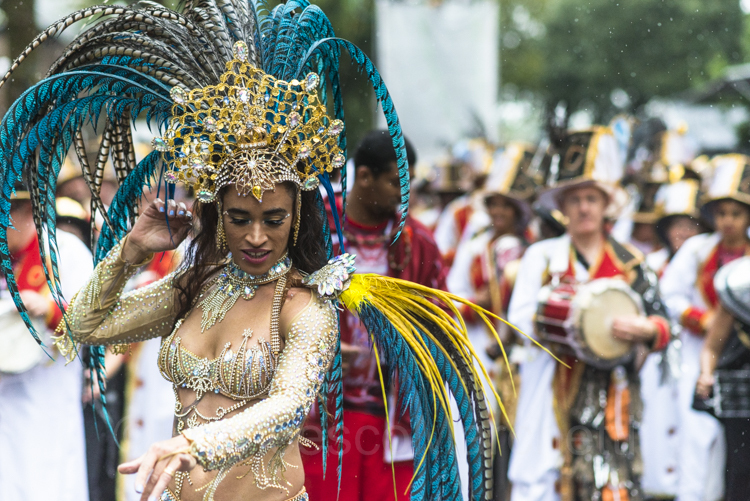 As the rain stops around midday, the parade finally begins. 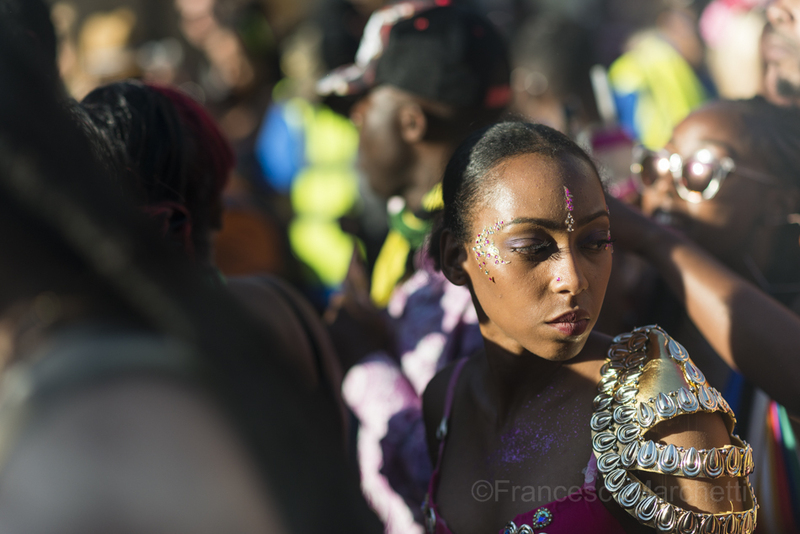 The overcast sky makes the light favourable to photography. 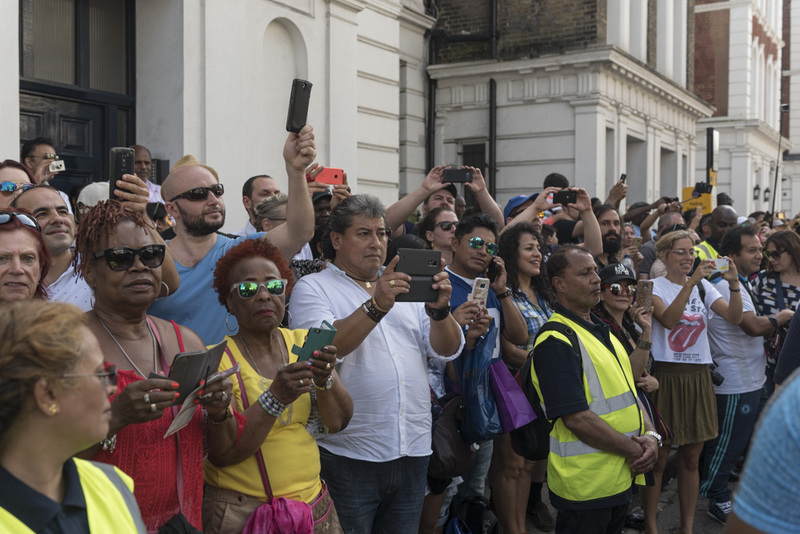 Why bother to buy expensive gear? 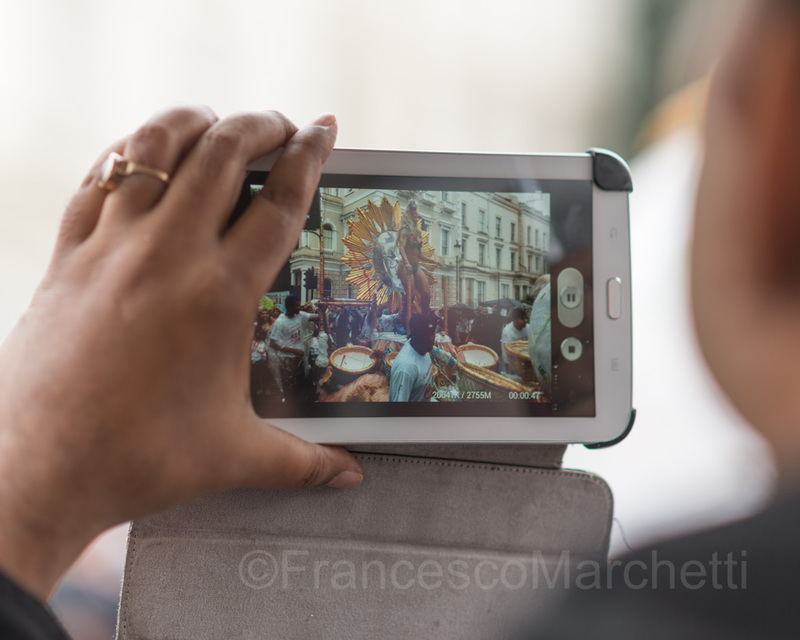 Mobile phone photography is just fine!!! 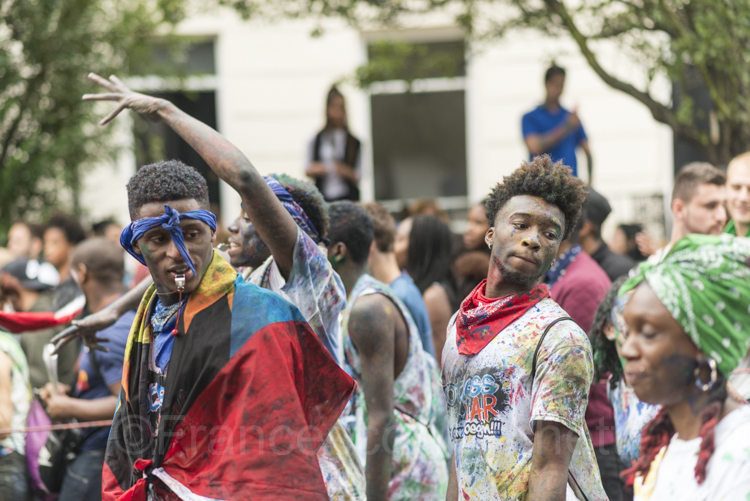 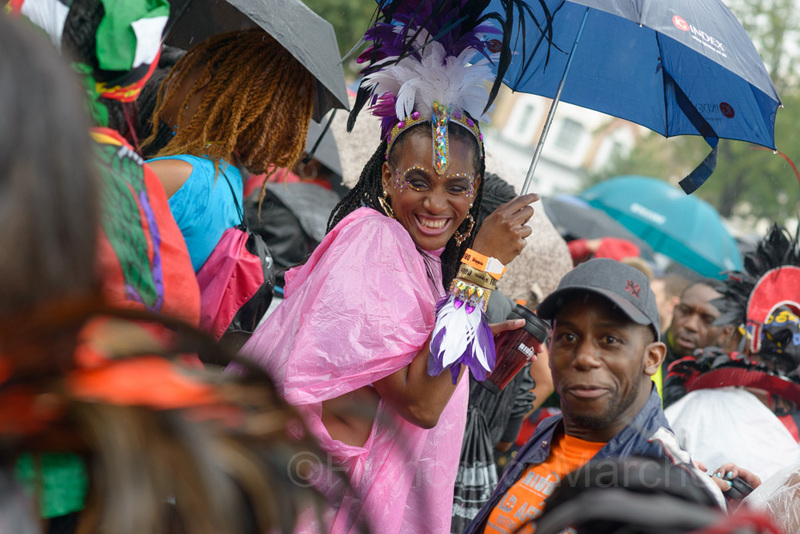 It pours with rain again later in the afternoon, but this does not stop performers to keep dancing and smiling. 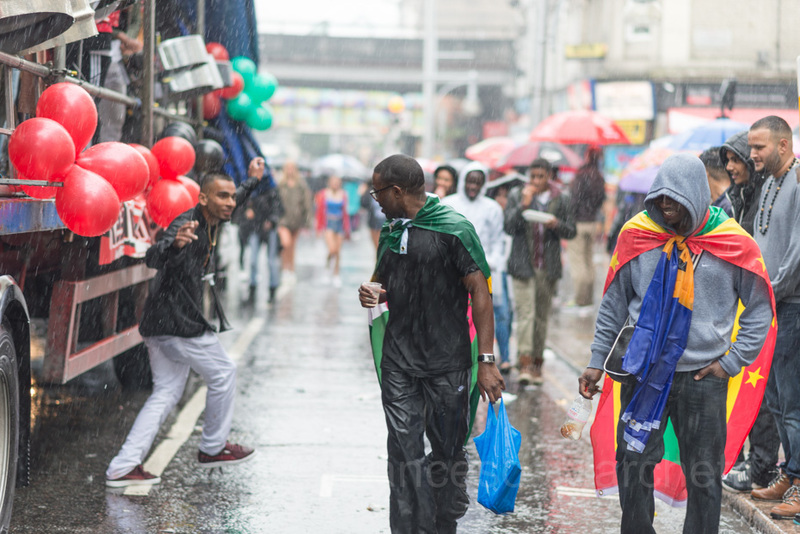 The weather will not defeat their playful mood. 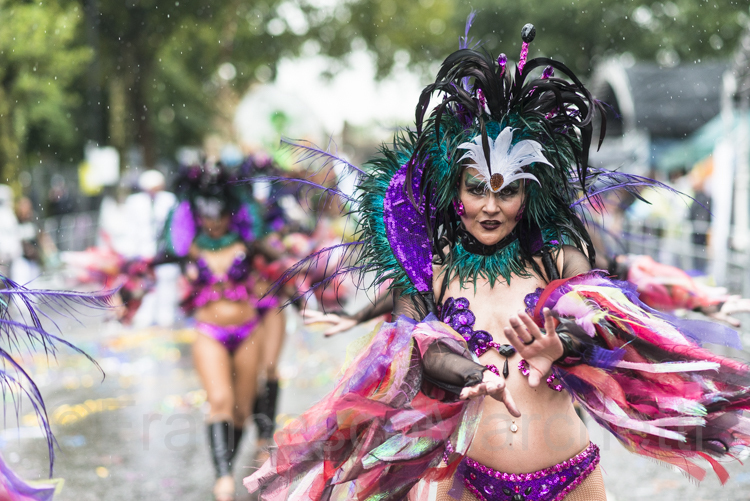 It is a very wet Carnival. 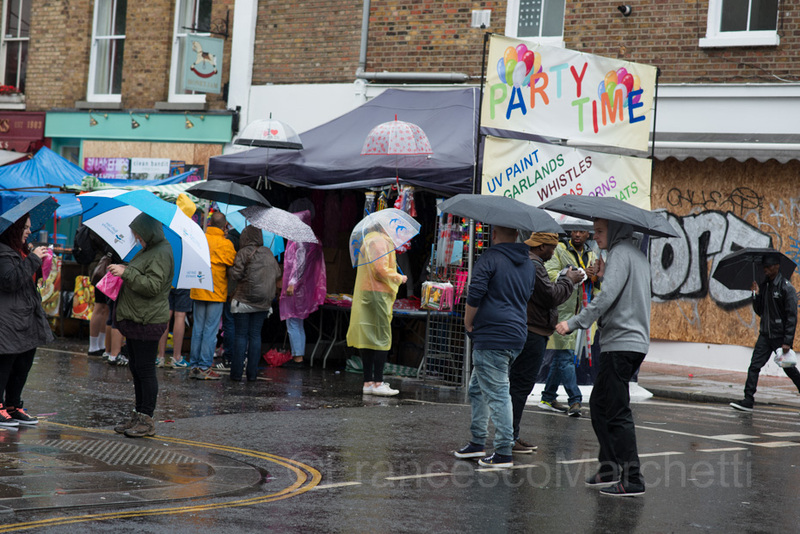 I managed to protect well the gear from the rain, but I am soaked. 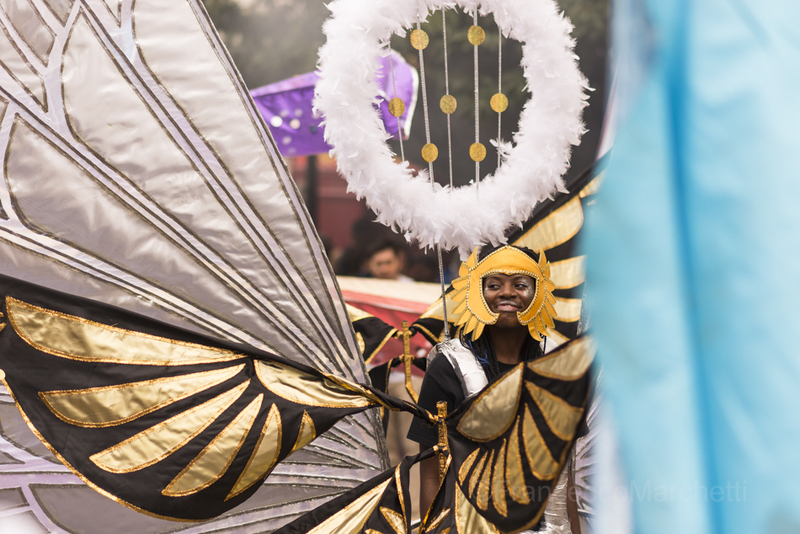 It has been a learning experience shooting an event under this weather conditions, interesting and memorable. 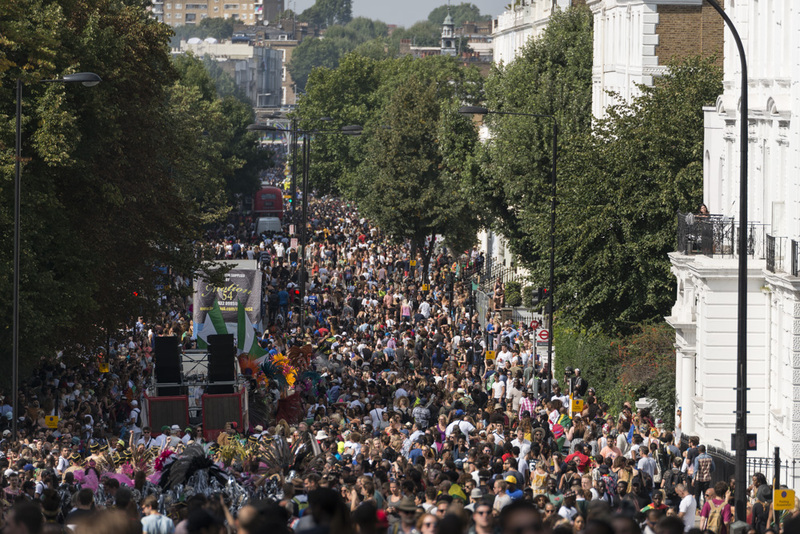 Probably a one-off opportunity as it is usually hot and sunny. 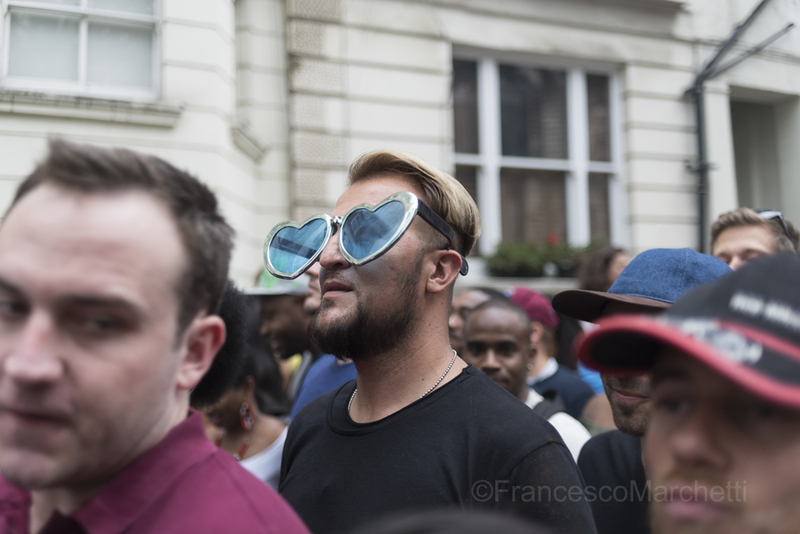 At least there is no harsh light to worry about. 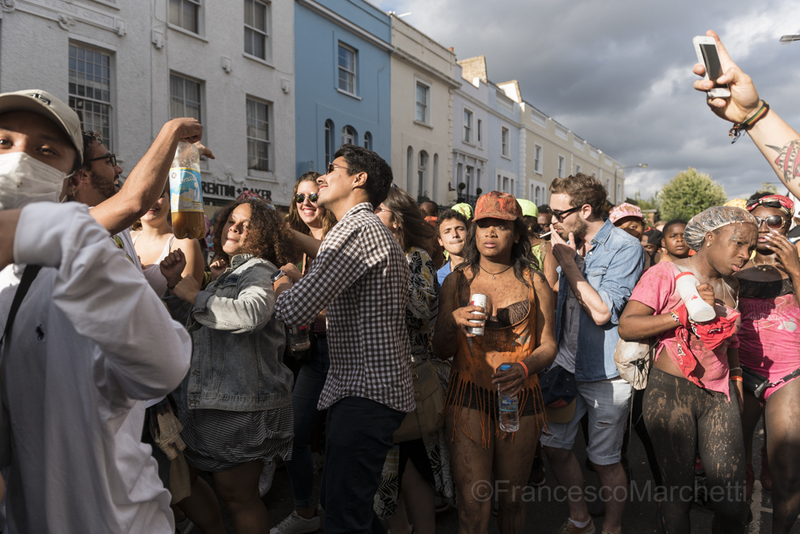 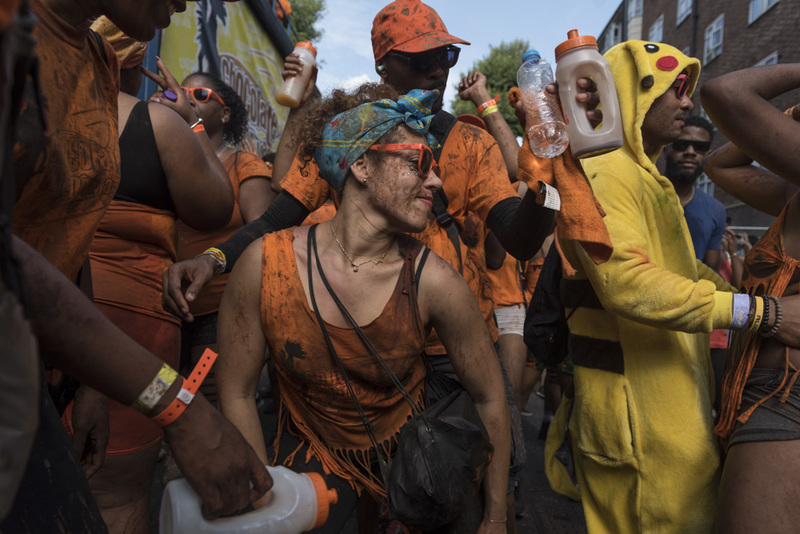 As the day comes to an end, street performers are replaced by a mass of drunken people, and the sound of police sirens begins to overlap with the fading noise of the Carnival. 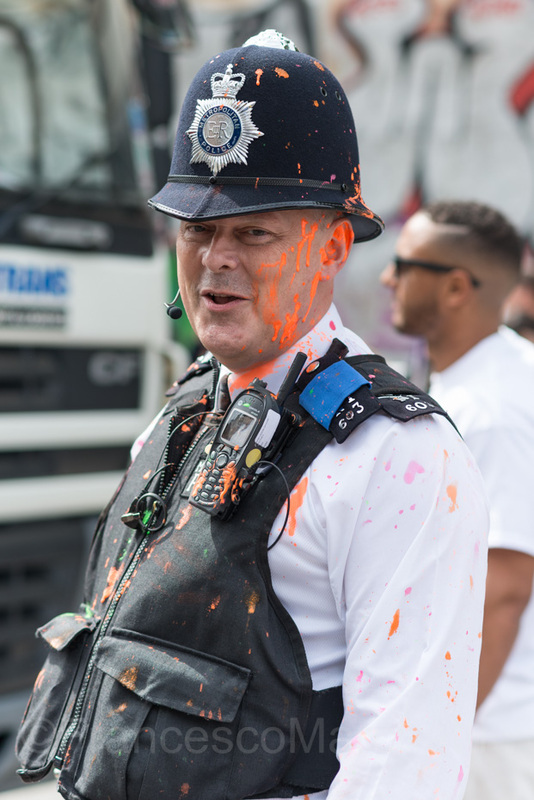 For the London police the “party” starts now, and it will be a busy night. 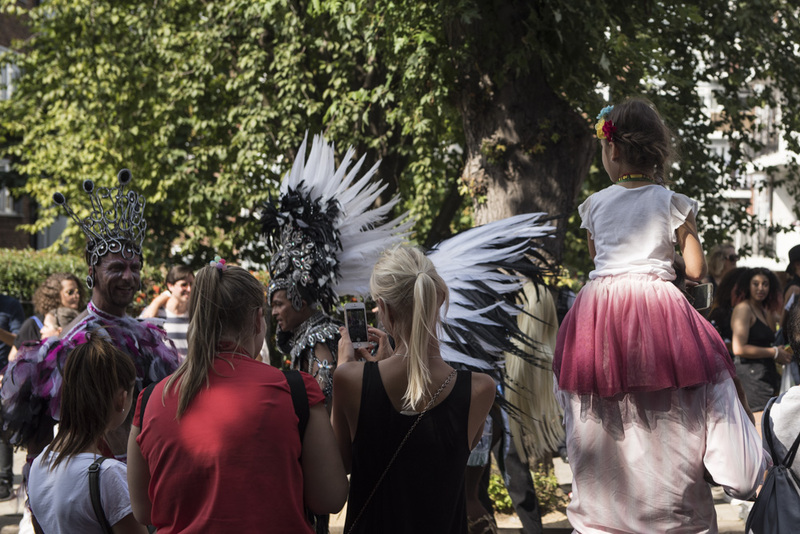 For me, it is time to go home. 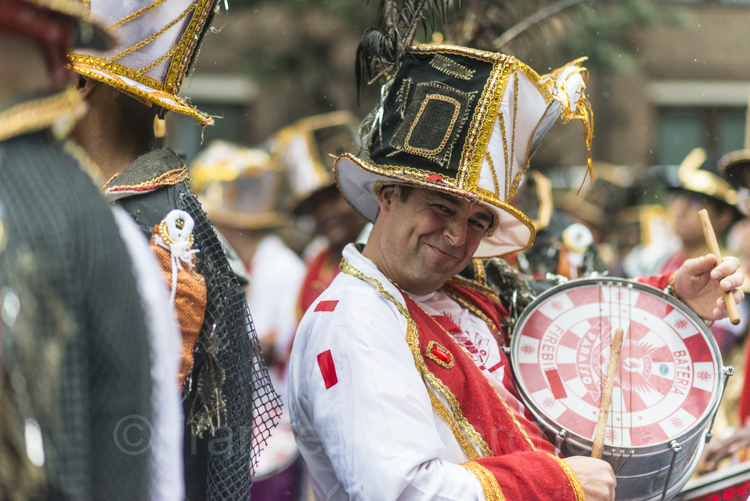 I am a bit sad this is over, and I am looking forward for the next year.